2019/4/5: Guide is updated for Patch 6.3, "Darkness Falls." Major reworks to Asi and Ichaival. 2019/3/13: Guide is updated for Patch 6.2, "The World Serpent." 2019/2/15: Guide is updated for Patch 6.1, "Season 6." Damage spikes chapter changed to include basic attack information. Multiple items updated. 2018/12/13: Guide is updated for Patch 5.23, "Godslayer." Introduction revised, and Qin's / Crits chapter enhanced. 2018/11/27: Guide is updated for Patch 5.22, "Arrival." 2018/11/2: Guide is updated for Patch 5.20, "A Necessary Darkness." 2018/10/5: Guide is updated for Patch 5.18, "Change & Choices." Golden Blade (@#^[email protected]&*!^) added. 2018/8/30-9/6: Guide is updated for Patch 5.16, "Divine Dragon." New chapters added: Bridge Items, Magical & Physical Protections. Multiple adjustments and fixes made, due to feedback from DV-8 and Kriega1 (thanks!!!). 2018/8/2: Guide is updated for Patch 5.14, "Goddess of Volcanoes." 2018/7/18: Guide is updated for Patch 5.13, "Mid-Season." (Further updated for Round 2 of PTS) Lots of item adjustments, and new items (masks), etc. 2018/7/5: Guide is updated for Patch 5.12, "Cyber Shadow." Some viability and wording adjustments throughout. 2018/5/27: Guide is updated for Patch 5.9, "Dragon's Fortune." Some adjustments made here and there. 2018/3/12: Guide is updated for Patch 5.4, "SMITE Birthday." 2018/2/23: Guide is updated for Patch 5.3, "Hero of the Trojan War." 2018/2/15: Guide is updated for Patch 5.2, "Legend of the Foxes." 2018/1/19 - 1/31: Guide is now updated for Patch 5.1, Season 5. Also, per suggestion from DV-8, added additional topic in Chapter 2 about personal playstyle (Thanks DV!). 2018/1/12: Guide is updated for Patch 4.25, "Warden of the Underworld." 2017/12/11: Guide is updated for Patch 4.23, Rally to Rome. 2017/11/7-8: Guide is updated for Patch 4.21, "Shadows over Hercopolis." New chapter discussion on CDR items added. Thanks to Duotem for additional info. Other minor adjustments. 2017/10/22: Guide is updated for Patch 4.20, "Tides of China." 2017/9/21: Guide is updated for Patch 4.18, "Journey to Asgard." 2017/9/1: Guide is updated for Patch 4.16, "Summer Knockout." 2017/8/14: Guide is updated for Patch 4.15, "Corrupted Arena." Significant changes to items mostly relating to Hunters. 2017/7/31: Guide is updated for Patch 4.14, "Ursa Major." 2017/7/24: Guide is updated for Patch 4.13, "Mid-Season." Lots of changes to items. 2017/6/29: Added a couple of desktop videos...one of me evaluating a few builds with things I look for (Build Progression chapter), and another of me discussing the standard movement speed items (Movement, Part 1: Shoes & Boots chapter). 2017/6/20-21: Guide is updated as of Patch 4.11, "Code of Chivalry." Thanks to KingScuba (Super Moderator @ the official Smite forums) for feedback and suggestion for viability notation. Minor wording adjustments/revisions made for better clarity. 2017/5/22: Guide is updated as of Patch 4.9, "Nine Tailed Terror." 2017/4/28: Guide is updated as of Patch 4.7, "Pillars of Success." Pretty sure I've got the idea behind Lono's Mask correct, but please provide feedback if I didn't. (It's in the Starting Items chapter) Also, welcome back to the stage, Rage. 2017/3/31: Guide is updated as of Patch 4.5, "Celestial Voyage." Added the "Build Progression" chapter. 2017/1/31: Guide is updated for Season 4, Patch 4.1. A lot of new items have been added, and existing items revised. If you spot any mistakes, please let me know! 2017/1/16: Penetration / Protection Reduction chapter has been enhanced with further information and discussion. Thanks to Bullfrog323 for the ideas and help! 2017/01/01: Guide is current as of Patch 3.24, "Journey to HRX." Added Supplemental Movespeed Items chapter. 2016/12/07: Updated info as of Patch 3.23, "Wings of Victory." More aesthetic adjustments. 2016/11/4: Updated info as of Patch 3.21, "Arbiter of the Damned." Added Stacking Items section. Enhanced aesthetics. 2016/10/3: Added some additional discussion to the Qin's / Crit section. 2016/9/30: Updated for Patch 3.18, "Rising Flames." Some reorganization and categorization of info with better clarification of specific info. Aesthetic adjustments. Welcome to my Items guide, which discusses the merits and viability of individual items. It also covers other aspects of choosing items, including builds and build progression, appropriate itemization for god types and roles, and concepts such as mechanics of damage mitigation and how penetration / protection reduction works. I'm looking for feedback, corrections, additions, and anything else that will improve the content of this guide. With that said, let's get into it. Theorycrafting and the art of optimizing builds has always been at the forefront of high-level play. Individual skill level and teamwork can make or break a team, but item choices have a huge effect as well. God Kit: What skills does the god have? Do they include high damage, or do they provide a lot of area control (CC)? Does the god have strong basic attacks or do they rely on abilities? Scylla is a mage whose kit focuses on high, single-hit burst damage...she should focus on items that provide power and penetration. Kumbhakarna is a guardian with abilities that stun, mesmerize, and knock up the enemy, so his strength is control, and CDR items work well for him. Erlang Shen has a quick basic attack string, with a passive that enhances basic attack damage, so he should focus on items that enhance basic attacks. Vulcan has a passive that enhances his survivability and sustain when he hits enemies with abilities, and his Inferno Cannon deals basic attack damage better than he ever could...he should just concentrate on ability use. Damage Types & Scaling: Does the god have single-hit skills, or do their abilities hit multiple times in succession? What is the scaling of said abilities (+ X% of your physical/magical power)? Single-hit abilities benefit more from non-stacking penetration items, such as Obsidian Shard and Titan's Bane. Anubis and Ares have multiple abilities that deal several ticks of damage per use, and Spear of the Magus is generally a better choice for them. Do the god's skills have high base damage and low scaling, or low base damage and high scaling? High scaling strongly benefits from higher power (e.g. Loki's Aimed Strike has 100% scaling), but low scaling usually means a focus on penetration will do more for their damage output. Game Mode: Are you playing Conquest and expect to find yourself alone or with only one other teammate for a good portion of the match? Are you playing Duel, where it's just you and an enemy? Or are you playing Arena, where it's a constant teamfight? In Duel, for example, you only have to worry about one god, so counter-building is a key component of an effective build. Against a basic attacker like Kali, physical protections such as Midgardian Mail can work well to slow her attack and give you a second of breathing room when she engages. In teamfight modes, aura items can have effects on multiple gods at once, and threat of damage from multiple enemies at any time can mean protections can have a more significant effect. Team Compositions: Once you're familiar with the gods, you can easily recognize if an enemy team is likely to be tanky, squishy, or if there's an imbalance (e.g. 4 magical gods and only 1 physical god). It will also have an effect on which god you choose (depending on teammates choices, role calling, etc.). If you're a tank, and you see the enemy team has 4 physical gods, the physical protection aura from Sovereignty, purchased early, is going to have a beneficial effect for your whole team. Likewise, if you see that multiple gods on your team are basic-attack oriented, choosing Shogun's Kusari will help enhance their damage output. If you're a physical basic attacker, and you have 2 other strong physical gods on your team, getting a protection reduction item such as The Executioner will help increase their damage. As a magical god that deals multiple hits per ability use, and you have 2 other magical gods on your team, getting Spear of the Magus not only helps your damage, but your teammates' as well. Price: What is the gold cost of the item? Especially in longer game modes with slower gold accumulation (such as Conquest), choosing a high cost item early in the game can mean that you're still working to complete it while the enemy already has completed theirs, giving them a significant statistical advantage at least until you're able to finish your item. Building lower-cost items early in a match helps lay the foundation of needed stats to enhance the effects of higher-cost items later in a match. Building cheap attack speed with a bridge item like Ichaival not only helps 1 v 1 boxing early in a match, it can also give a boost to Qin's Sais once you get it later. Personal Playstyle: As referenced by DV-8 and quoted by Krett: “The core of every build in every game that has a build – even an MMO like World of Warcraft – is the methodology,” explains Krett. “What are you doing and how does your build help you do it?” In other words, how do you play, and how can you tailor a build to best suit your playstyle? Aggressive Playstyle: Do you find yourself overextending a lot? Are you able to easily get kills, but then have problems getting out alive? Of course, the optimal solution is to train yourself to recognize optimal situations where you can attack, with a high probability of survival, by watching enemy ability use (making sure their CC abilities or ults are down), gaining better awareness of surroundings and teammate proximity to help, etc. However, as an example, one build style you might consider is to build some protection instead of going full glass cannon, or get some additional movespeed to help you escape. Having to back constantly due to low health, mana, or both: Do you take too much damage, too often, in comparison to enemies? Do you constantly find that you're out of mana? For health, choosing items with additional health or protections can help you stay out longer, but you might also consider items providing lifesteal or HP5 early in a build (or at least earlier than normal). For mana, consider 2 options: 1) learning to choose the best times to use abilities, rather than just always using them when they're available, or 2) building items providing additional mana or MP5. Consider God Choice: this isn't really a topic stemming from Krett's quote, but it also applies. If you have an aggressive playstyle, it's probably better for you to choose Bacchus or Sobek over Khepri. If you're much more comfortable hanging back and poking or protecting from distance, you might find more enjoyment playing Isis over Chang'e, or Geb instead of Ymir. Learn the strengths of each god, and consider honing your skills with those gods that fit your personal preference. The following is a brief and general breakdown of standard build progression based on role. This section will likely see revisions for better presentation of ideas. Consider this a rough draft. Summary: Tanks choose items that provide protections and health, with the intent of playing on the front-line, soaking up a lot of damage, and being a major distraction to the enemy team. Guardians and Warriors are most often built tanky. General Role: Full tanks are usually built in the Support role in Conquest, though many Guardians and Warriors in the Solo lane may also build similarly. They have great function in all other modes to help soak damage and protect teammates. Summary: Bruisers combine protection items and damage items, often to help counter specific enemies while retaining a good amount of damage potential. In some cases, gods with high base damage or particularly damaging abilities can build mostly protections and still be an offensive threat. General Role: Conquest Solo-laners, as well as select Junglers, will often build as Bruisers. In other modes, almost any god can go Bruiser, depending on the situation. Bruisers may come from almost all classes other than Hunters (who usually are best built as full damage/Glass Cannon), but are typified by the Warrior classes more than others. Summary: Glass cannon builds focus on maximizing damage via stats like power, penetration, attack speed, and CDR at the cost of survivability. Some damage items they choose have additional utility, such as slows or lifesteal. "The best defense is a good offense" is a perfect motto for them. They may occasionally build items with some protection function, but generally want as much damage as they can get. General Role: Gods that choose full damage are commonly in the Hunter and Mage classes. Some Assassins also thrive with full damage, but are best suited to it when they have strong mobility/escape abilities to get them out of dangerous situations. Build progression: In almost all modes, movement speed items are obtained first. Depending on the god, all following items look to increase their CDR, attack speed, lifesteal, power, and/or penetration stats...things that increase their damage output. Starting items, AKA Blessings, are effective low-cost items intended to support the early stages of a match. However, they are quickly outclassed by standard items, so are usually best utilized in modes that progress more slowly, such as Conquest, Joust, and Siege. They are replaced in the late game. Blessings are new to Season 5, with the idea to help enforce roles. They share the same price of 700 gold. Only one can be bought per match, and cannot be re-bought once sold. Despite the item names, they are universal, so are not limited to specific classes. All Blessings stack based on different criteria, and have a final, evolved form providing additional benefit. The 5 Conquest blessings can be bought in any mode, while the 3 Non-Conquest blessings can only be bought in non-Conquest modes. +35% bonus damage vs. jungle monsters, +7% health and +20 mana restored on killing a jungle monster. ROLE QUEST (passive): killing or assisting on jungle monsters or enemy gods provide stacks. Jungle monsters are worth 1 stack and enemy gods are worth 5 stacks. At 50 stacks, this item evolves, giving +5 Penetration and 5% move speed. Viability, Usage & Status: High viability. Essential in Conquest for the Jungler. Possible choice for Support if they plan to constantly roam as a 2nd Jungler. Since the passive only applies to jungle camps, this should only be picked up by Junglers (and possibly constantly-roaming Supports). The increased damage and sustain are extremely helpful. +100 health, +5 physical protection, +5 magical protection, +7 health and mana restored per lane minion assisted, +3 gold per lane minion assisted. ROLE QUEST (Passive): assisting on lane minion kills provides stacks. Each assist is worth 1 stack. At 50 stacks, this item evolves, gaining a bonus +4 gold per 5 seconds. Viability, Usage & Status: High Viability. Essential starting item for a Support that plans to spend much of their time in-lane with teammates. The item provides everything a Support needs...sustain, health / protections, and gold. The evolved state will help your overall gold income as you move into the mid / late-game. +15 basic attack damage, +10 MP5. killing or assisting on lane minions or enemy gods provides stacks. Lane minions are worth 1 stack and enemy gods are worth 5 stacks. At 75 stacks, this item evolves, gaining 15% attack speed and an additional 15 bonus basic attack damage. Viability, Usage & Status: High Viability. Starting choice for all gods focusing on basic attack damage. who plan to deal the vast majority of their damage via basic attacks. +10 bonus ability damage, 20 magical power OR 10 physical power, +2 MP5 per 10% mana missing. ROLE QUEST (passive): killing or assisting on lane minions or enemy gods provide stacks. Lane minions are worth 1 stack and enemy gods are worth 5 stacks. At 75 stacks, this item evolves, gaining 10% Cooldown Reduction. Viability, Usage & Status: High Viability. Starting choice for all gods focusing on ability damage. This item provides help for early ability-based wave clear, poke, and mana sustain. Mostly picked up by mages, it can also be the best starting item choice for hunters who rely more on their abilities than basic attacks. +75 health, +3 reduction from all damage taken, +40 health and mana restored upon dealing damage to an enemy god, 10 second CD. ROLE QUEST (Passive): dealing damage to an enemy god provides 1 stack. This effect can only occur once every 10 seconds. Getting a kill or assist on an enemy god provides 3 stacks. At 15 stacks, this item evolves, gaining +15 physical and magical protection. Viability, Usage & Status: High Viability. Standard sustain item for Solo-laners. Possible option for aggressive Supports. Provides strong early sustain via damage reduction and health sustain. Important for boxing, especially if being aggressive in the vicinity of minions. Supports may consider this item, as it does provide tank stats, if they have strong early games and are partnered with teammates who also have strong early games, but they'll likely miss the mana sustain that Guardian's Blessing provides. 20 physical power or 25 magical power. ROLE QUEST (passive): damage lane minions and enemy gods to gain stacks. Dealing 100 damage to lane minions provides 1 stack and dealing 100 damage to enemy gods provide 3 stacks. At 100 stacks, this item evolves, gaining 10 penetration. Viability, Usage & Status: High Viability. Helpful for early offense. The stats seem a bit low, but as a starter, it provides a pretty good boost to damage potential, with the evolved state getting very early flat pen. Combined with your standard 1st main item (Boots/Shoes), you'll be able to deal some good early damage. +100 health, 10 physical protection, 10 magical protection. ROLE QUEST (passive): mitigate damage to gain stacks. mitigating 50 damage provides 1 stack. At 75 stacks, this item evolves, providing +150 health and mana. Viability, Usage & Status: Low Viability. Early health and protections for tanks. Sees relatively little use as the stats are underwhelming for most teamfight modes. You're typically better off rushing MS or getting a different blessing. ROLE QUEST (passive): damage enemies or heal allies to gain stacks. Each time an enemy is damaged or an ally god is healed by your abilities, gain 1 Stack. Each ability can only trigger up to 3 stacks. At 75 stacks, this item evolves, gaining +10% Movement Speed. Viability, Usage & Status: Medium Viability. Solid situational starter providing CDR and eventual enhanced movespeed, with increased stacking ease for team healers. This item provides a lot of potential utility in all non-Conquest modes. The 10% CDR (like Mage's Blessing) is very nice for the cost. Combined with the increased movespeed once evolved, it can possibly retain value until late-game, where it would be sold for a full T3 item. Due to the eventual movespeed gained, interesting starts may be possible. Example: Kali. Instead of choosing Boots as her first main item, consider moving directly into Hastened Katana for a total 20% MS. Late-game, sell Blessing for Stone Cutting Sword or other item with added movespeed, negating the need for shoes at all. *NOTE* This section only covers traditional movement speed items (Boots / Shoes). Movement speed items are essential early items on all gods in all modes. They not only help you get from point A to point B more quickly, but generally provide strong stat value for the cost. The 4 items for both magical and physical gods have significantly varied utility, so an understanding of their functions will help you choose the best option for the mode and your playstyle. *CONQUEST LATE-GAME NOTE* Elixir of Speed is a new item, designed to replace the standard movement speed your Boots/Shoes provide with a permanent 18% MS. This does NOT stack with any MS from Boots/Shoes, but allows you to replace the original item with any other item of your choice. It is only available in Conquest mode. It should not be purchased early in a match, as it only provides movement speed, and no other stat. 20 magical power, 100 health, 20% CC reduction, 18% move speed, passive (each time you take damage from an enemy god, you gain a stack of reinforced armor providing +3 physical and magical protections, max 7 stacks. Lasts for 6 seconds, refreshing with each stack gained). Viability, Usage & Status: High Viability. Tanky option for Guardians in the Support role. These shoes are specifically picked up by tanky Guardians looking to soak up as much early damage as possible. The CC reduction is extremely helpful when facing enemy teams with lots of CC. The protection stacks can be quickly built when facing enemies with ticking / DoT damage. 55 magical power, 250 mana, 10% CDR, 18% move speed. Viability, Usage & Status: High Viability. Provides CDR for ability-spamming. Best in teamfight modes such as Arena, Assault, and Clash. Can replace Shoes of the Magi late-game. This is the best option for Mages and Guardians looking to use their abilities as often as possible in the early game. The additional mana really helps early ability use. Some foresight should be used when choosing this item. If you like to build other CDR items (e.g. Breastplate of Valor, Chronos' Pendant, Spirit Robe, Mantle of Discord), make sure you won't overcap CDR (cap is 40%). Most functional in teamfight modes, where you'll have many opportunities to spam your abilities. 55 magical power, 10 magical penetration, 18% move speed. Viability, Usage & Status: High Viability. Best early-game damage option, due to the added penetration. Great for early aggression. This is the best choice for a Mage's damage output, especially in the early game. The early flat penetration really helps bite into a low-level enemy's health. In this, you're sacrificing some CDR to provide more burst damage. This is the most common item chosen by Mages in the Mid-Lane, as well as magical ADCs. Consider replacing late-game for Shoes of Focus if you haven't already maxed CDR. 25 magical power, 25% move speed, +15 MP5, passive (gain +20% move speed for 7 seconds after leaving the fountain). Viability, Usage & Status: High Viability. Enhanced mobility option for a variety of gods in Conquest. Somewhat less potential function in other modes. With the new Season 5 Conquest map's increased width, travel between lanes and in the jungle will take longer. Movespeed (especially heightened movespeed over a standard 18%) is a vital stat, and the added MP5 is functional for any god. Expect to see it mostly on Supports, but don't be surprised to see it built for Junglers (quicker rotations) and Soloers, since the passive is like the old Swift Wing, allowing wearers to get back to lane ASAP. 20 physical power, 20% attack speed, 100 mana, 18% move speed. Viability, Usage & Status: High Viability. Option for basic-attacking Assassins, Hunters, and Warriors in all modes. Also used to replace Warrior Tabi in the late game. If you built a high-power stacking item first, this is a strong choice as your move speed item, especially when your late-game damage will come from your basic attacks. You can choose this if you feel comfortable with your wave clear, or you may choose to replace Warrior Tabi with this in the late game, after Qin's Sais or crit items are completed. The only gods you wouldn't want this for are those whose damaging abilities have high scaling, or if you plan to build significant attack speed in later items and don't want to possibly overcap attack speed. 10 physical power, 100 health, 20% CC reduction, 18% move speed, passive (each time you take damage from an enemy god, you gain a stack of reinforced armor providing +3 physical and magical protections, max 7 stacks. Lasts for 6 seconds, refreshing with each stack gained). Viability, Usage & Status: High Viability. Tanky option for Warriors in the Support role. These boots are specifically picked up by Warriors in the Support role. Not generally the best choice for Warriors in the Solo lane, as they need as much wave-clear damage as possible to help win their lane and thus usually choose more offensive options. 20 physical power, 25% move speed, +15 MP5, passive (gain +14% move speed and +25 HP5 while out of combat. Each time you hit an enemy god with a damaging ability you earn +30 gold. Can only occur on the same god once every 90 seconds). 40 physical power, 18% move speed. Viability, Usage & Status: High Viability. Standard damage option for ability-reliant gods. This provides the highest power of all boots, and is the best choice for ability damage. Not only does higher power provide more ability damage, but physical power increases basic attack damage in a 1:1 ratio (except for Izanami, where damage from a single hit only increases by 50% of power). Should be chosen by almost all Warriors in the Solo lane, as well as Junglers. For Hunters, you may consider replacing this item with Ninja Tabi late game, to enhance DPS for some gods...best for those that have limited to no attack speed steroid abilities. Items that provide movement speed bonuses are usually picked up AFTER the main movement speed shoes/boots, to enhance mobility for faster rotations, as well as provide other utility not found in other items. Many of these are picked up fairly early in a match, when needed in a particular build. Movement speed is likely to have increased value in Season 5's Conquest map, due to the increased size of the map and quicker-spawning jungle camps. 65 magical power, 35% move speed, 10% CDR. CON: +10% damage taken. -10% damage dealt. Viability, Usage & Status: Medium Viability. Provides an incredible increase in move speed and 10% CDR, so is best considered for ability-based Junglers that want enhanced rotation speed. This is a risky item, in that it makes you take increased damage from all sources. That said, the huge move speed boost can allow you to dominate the Jungle and steal camps from everywhere. Possibly an early alternative item to Shoes, and something to be sold late-game. 65 magical power, 30% attack speed, passive (basic attacks reduce your target's magical protection by 12% for 3 seconds, max 3 stacks). Viability, Usage & Status: High Viability. Huge mid-game damage (via protection reduction) for basic-attacking Mages. This is practically an essential item for a Mage focusing on basic attack damage, such as Chronos, Freya, and sometimes Sol depending on her build focus. The attack speed increase, paired with high % protection reduction, gives a huge boost to damage output. 25% attack speed, 7% move speed, 50 magical power, passive (when your basic attack hits a target, the attacking move speed debuff is removed from you for 6 seconds, CD 25 seconds). Viability, Usage & Status: Medium / High Viability. Situational use for magical gods with strong basic attack function. This item grants 4 seconds of high mobility for boxing when basic attacking, before requiring a 25 second CD to become available again. Can see some good effect for some magical gods such as Chronos, Poseidon, Sol, and Freya. 300 health, 10% CDR, 10% move speed, passive (relics receive 30 second CDR). Viability, Usage & Status: Medium Viability. Utility option for Guardians in the Support role, with multiple minor benefits. Strategic pickup in the mid to late game, great in combination with group relics in teamfights. A jack-of-all-trades item, it doesn't stand out anywhere, but has tons of potential utility at an extremely reasonable price. A bit of CDR and health is helpful for all Guardians. The move speed is great for quicker rotations, especially for slower gods without mobility. To maximize the relic CDR effect, make sure you're using your relics as much as possible in any teamfight. Especially effective for gods that use Blink Rune. 90 magical power, 200 health, 7% move speed, passive (the healing abilities of you and allies within 70 units is increased by 10%. If you are in combat, you provide 15% additional healing to allies). Viability, Usage & Status: High Viability. Optional-to-essential item to enhance group healing. Usually picked up in the mid-game. Not only does this item enhance healing, but the added move speed and health provide good utility for healing mages, since they don't really have escapes. Usually picked up after movement speed and CDR items, but can be purchased late if other items are preferred earlier. 100 magical power, 10% move speed, passive (dealing 100 damage to enemy gods gives you a stack...at 50 stacks (5,000 damage), gain an evolved passive: successfully hitting a god with a damaging ability causes them to become debuffed, taking 10% additional damage from your subsequent abilities and basic attacks for 5 seconds). Viability, Usage & Status: Medium / High Viability. Mid-to-Late game steady damage enhancement. This is typically a mid or later-game pickup, due to the somewhat weak base stats. It should be easy to quickly gain full stacks, unlocking the item's full potential. Decent pickup for any damaging god looking to enhance damage and provide a bit of added mobility. However, it requires an initial hit from an ability to activate the passive. 10% CDR, 300 health, +10 HP5, +10 MP5, passive (after healing yourself from an ability, you gain +40% move speed for 4 seconds. This can only occur once every 10 seconds). Viability, Usage & Status: Medium / High Viability. Utility item for gods with healing abilities who want extra move speed. Usually picked up in the mid to late game. There are multiple gods that have healing abilities, and this item, while not providing any tangible offensive benefit, gives some added utility to help chase, escape, and rotate more quickly. 90 magical power, 10% movespeed, 20% attack speed, passive (your basic attacks deal bonus damage of 10 + 10% of your magical power. This effect does not hit structures). Viability, Usage & Status: High Viability. Enhanced damage for basic-attacking mages. This item sees a change for S5, with a re-energized focus for basic attackers. As with Demonic Grip and Hastened Ring, this item greatly enhances basic attack DPS. 100 health, 15 penetration, 30% attack speed, 10% move speed, passive (enemies hit by your basic attacks gain 20% reduced healing, stacking up to 2 times and lasting 8 seconds). Viability, Usage & Status: Medium Viability. Anti-heal utility for basic attackers. The anti-heal effect is applied via basic attacks, so only has utility function for gods that use basic attacks often. Without any power, this item is used only sporadically. 300 health, 20% CC reduction, 10% move speed, passive (when hit by a slow, you are immune to slows and your movement speed is increased by 20% for 4 seconds. Only occurs once every 30 seconds). Viability, Usage & Status: Medium Viability. Defensive utility option for Guardians in the Support role, as a counter to slows. Often picked up in the mid-game, but can be picked up late for added utility. For a low price, you get added movespeed and tanky counter to high enemy team CC and slows. Situational use for Guardian Supports, or for desperate Mages with low mobility struggling with enemy CC. 200 health, 10% CDR, 20% attack speed, 10% move speed, passive AURA (enemies within 55 units have their attack speed reduced by 20%). Viability, Usage & Status: Medium / High Viability. Utility anti-basic attack counter item, with added CDR. 30% attack speed, 30 physical power, 10% move speed, passive (hitting basic attacks increases your movement speed by 5% per stack. Stacks up to 3 times, and lasts for 7 seconds). Viability, Usage & Status: Medium Viability. Strategic option for basic attackers to help stay close to enemies or retreat immediately after a fight. This is a specialized attack speed item, giving you added mobility when basic attacking enemies. The increased duration of the passive MS buff may be functional for basic attackers with rotations, chasing, or retreating. 30 physical power, 35% move speed, 20% CDR. CON: +10% damage taken, -10% damage dealt. Viability, Usage & Status: Medium Viability. Usage in the meta remains to be seen. Provides an incredible increase in move speed, and a very high 20% CDR, so is best considered for ability-based Junglers that want enhanced rotation speed. This is a risky item, in that it makes you take increased damage from all sources. That said, the huge move speed boost can allow you to dominate the Jungle and steal camps from everywhere. Possibly an early alternative item to Boots, and something to be sold late-game. Unknown use in the meta, as it is a brand new item. 30 physical power, 15% attack speed, 10% move speed, passive (all basic attacks will also hit enemies within a 15 unit radius of the target for 50% of the damage to gods, 75% damage to minions and jungle camps). Viability, Usage & Status: High Viability. Strategic quick jungle camp clear option for select Assassins in the jungle. This is a specialized item for Assassins, allowing you very quickly and efficiently clear jungle camps, often without having to use an ability to help. This can free up extra mana and allow abilities to be ready for enemy god encounters. WARNING: Melee only! Cannot buy for Hunters! 25% attack speed, 10% move speed, 25 physical power, passive (when your basic attack hits a target, the attacking move speed debuff is removed from you for 1 second). Viability, Usage & Status: High Viability. Strategic option for basic attacking Assassins and Warriors, specifically to help stay close to enemies. Picked up at all stages of the game. This is a specialized attack speed item, allowing you to move at full speed even when basic attacking (as long as you connect), which is particularly helpful when boxing. Popularly used for Kali and Bakasura, and may be situationally functional for Warriors like Erlang Shen, Osiris, and Vamana. 50 physical power, 10% move speed, passive (for each enemy god within 55 units of you, you gain a stacking buff that provides 7 magical protection and 7 physical protection). Viability, Usage & Status: Medium / High Viability. Functional utility movement option for warriors and specific assassins that dive into the midst of the enemy team to create disruption. This is a hybrid option for warriors and some assassins that aren't afraid to jump into the middle of a teamfight and unleash their abilities. Possibly good for a jungling Nike who has her ult available to provide added health, or maybe Bakasura as he unleashes his ult and tries to burst down the entire enemy team. Viability, Usage & Status: Medium Viability. Utility option with multiple minor benefits. A jack-of-all-trades item, it doesn't stand out anywhere, but has potential utility at a reasonable price. A bit of CDR, which is helpful for all Warriors, combined with added move speed, is great for quicker rotations, especially for slower gods without mobility. To maximize the passive relic CDR effect, make sure you're using your relics as much as possible in any teamfight. Especially effective for gods that use Blink Rune. Can work really well with Amaterasu, Camazotz, Chaac, Hercules, and any other healing god (other than Vamana, don't get it for him) that needs both protections and power. 50 physical power, 10% move speed, passive (melee basic attacks decrease an enemy's physical protection by 10, and increase your physical protection by 10 for 3 seconds (max 3 stacks)). Viability, Usage & Status: High Viability. Functional hybrid item for physical, melee basic-attacking Junglers. Because of somewhat high price, usually picked up in the mid to late game. When facing high threat of damage from physical enemies, this item is great for melee-based basic-attacking Junglers who want to out-box their target. 100 health, 10 penetration, 30% attack speed, 10% move speed, passive (enemies hit by your basic attacks gain 20% reduced healing, stacking up to 3 times and lasting 5 seconds). This item applies its anti-heal via basic attacks, so only has utility function for gods that use basic attacks often. Without any power, this item is used only sporadically, though may be helpful for select Solo gods to counter enemy healers. Viability, Usage & Status: Medium Viability. Defensive utility option for Warriors, or perhaps Assassins, as a counter to slows and heavy CC. Picked up in the mid to late-game. Provides a variety of tanky utility, namely against high CC and slows. Situational use for Warriors, and possibly some tankier Assassins, when struggling against enemy CC. Viability, Usage & Status: Medium / High Viability. Utility anti-basic attack counter item for basic-attacking hunters and assassins, with added CDR. Similar to the other items above that provide multiple functions, this is a direct counter item to basic attackers. May see some specific counter-building use by Warriors such as Erlang Shen, Osiris, Bellona, Ravana, and Vamana. Combines well with Midgardian Mail. Available for use in all modes except Assault, permanent stacking items are extremely popular for their powerful, fully-stacked stats. Because stacks are mainly built from minion waves, it takes time, and thus are most effective when purchased early, and in modes where matches are longer. This doesn't mean you can't effectively build stacks in Arena, for example, but care and thought as to team composition should be utilized. Viability, Usage & Status: High Viability. Standard pick for a damage dealer looking for a huge mana pool. Cannot be used in Assault. This is a solid pick for almost any mage looking for high power and a mana pool that essentially guarantees they won't run out. Best for gods with an escape of some type, as this provides no survivability. *NOTE* The true power contribution of this item depends on the total mana of the god & items chosen. You can easily see a final power contribution from this item at up to 180-190 power. In a mode where backing often is common (e.g. Arena & Joust), the huge mana pool isn't needed quite as badly, and other, non-stacking items might be suggested. Passive: You permanently gain +3 health and +0.5 magical power per stack, and receive 5 stacks per god kill, and 1 stack per minion kill. Max 100 stacks. Viability, Usage & Status: High Viability. Solid pick for gods looking for survivability. Extra mana and power is a bonus. Cannot be used in Assault. For gods that are either squishy or don't have escapes, this item, though expensive, can be the difference between life and death. The huge 500 health increase at max stacks is an incredible amount, and survivability can be further enhanced with protection items. Great for gods that like bruiser builds, such as Zhong Kui, or gods that find it difficult to avoid damage, such as Anubis. This section will not cover temporary physical stacking items that lose stacks upon use/damage, such as Heartseeker. It's really designed to discuss two items with significantly different offerings. Permanently gain +0.5 physical power and +0.2% physical lifesteal per stack, and receive 5 stacks per god kill and 1 stack per minion kill. Max 70 stacks. Viability, Usage & Status: High Viability. Solid early option for sustain (via lifesteal) and good power as stacks are built. Cannot be used in Assault. "Devo's" is most commonly built on Hunters as the 1st or 2nd item in a build. For the basic-attacking hunter, this provides great stats for the cost. It's not usually suggested on more ability-reliant hunters or other classes. This is the best option for early sustain, though you'll likely have to supplement your ability use with Mana Potions. Viability, Usage & Status: High Viability. Standard pick for an ability user looking for a huge mana pool. Cannot be used in Assault. Picked up mostly by ability-reliant gods that rely on burst damage. This item provides an incredible pool of mana as it stacks, making it a good item for modes where longer stays in-lane are important (e.g. Conquest, Siege) and mana use is high. It's also the item that provides the highest power contribution of all physical items, upon gaining full stacks. It does cost a lot, so understand that it can put you behind in the early game. The true power contribution of this item depends on the total mana of the god and items chosen. You will generally see at least 63 additional power coming at full stacks (a total of 98 power!). Since it doesn't provide health sustain, it's a better choice if the god has some healing within their kit; otherwise, they'll likely have to supplement with specific lifesteal items such as Asi, Bloodforge, or Soul Eater. In a mode where backing often is common (e.g. Arena & Joust), the huge mana pool isn't needed as much, and other, non-stacking items might be suggested. However, it's difficult to pass up the extremely high power offering. The following items are considered "bridge" items, meaning they bridge a gap between early-game and late-game to give you great, focused stats (at the time) for a low price (typically 1,700 gold). This concept is similar to starter items, whose prices are very low (700 gold) and provide good function at the beginning of a match. The value of these bridge items fall off late-game, as their stats aren't quite comparable to full Tier 3 items. As such, these items should be built fairly early in a build, and their purpose is to provide key stats to give you a temporary advantage over enemies that might look to build full items at that time. If the match endures long enough that you reach a full build, you'll usually want to replace these bridge items. 55 magical power, 35 physical protection, 10 magical penetration. Viability, Usage & Status: Medium Viability. Counter item for Mid-lane Mages or Junglers facing physical threat, or aggressive option for Guardians looking to deal early damage. Discussion: This item isn't currently very popular, but can be helpful for mages (think Mid-lane or Jungle in Conquest) facing threat from a physical Jungler. Decent magical power and some flat penetration provide a good boost in damage potential, while the 35 physical protection is substantial in the early going to deflect incoming damage. This can also be an option for aggressive Guardians (typically in non-Conquest, teamfight modes) looking to gain an advantage in the early game with some kills, when facing more physical threats. 30 magical power, 30 magical protection, 30 physical protection, passive (hitting an enemy god with crowd control will place a debuff on enemies hit. The debuff decreases the enemy's magical and physical protections by 15 for 5 seconds). Viability, Usage & Status: High Viability. Aggressive bruiser item for gods with reliable, easily-applied CC abilities for early ganking. Discussion: Due to the moderate amount of balanced protections, this is often a choice for Guardians looking to have a bit of tankiness while also enhancing their team's damage on specific targets. 15 protection reduction is very powerful in the early game, and can remain very effective as the match extends into the late-game, if the team is sticking close and working well together. 20% lifesteal, 25% attack speed, 10 flat penetration, passive (if you drop below 35% health, gain an additional 25% lifesteal for 5 seconds, CD 15 seconds). Viability, Usage & Status: High Viability. Basic-attacker's bridge option with balanced stats and sustain. Discussion: The combination of low price, along with attack speed and penetration, makes this an extremely functional item for basic attackers. Perhaps the best mid-game item for lifesteal, as long as enough power has been built beforehand, since it doesn't provide any itself. This item is one that has such strong stats that it may OR may not be replaced late-game, depending on user preference. 25 physical power, 15 physical protection, 10% attack speed, passive (anytime you hit an enemy god with a basic attack you are healed for 1% of your maximum health and mana. Basic attacks that hit multiple enemies will restore 0.5% of your maximum Health and Mana after the first). Viability, Usage & Status: High Viability. Specific anti-physical counter option with attack speed and sustain when boxing for basic attackers. Discussion: This new item for Patch 5.16 provides basic attacking physical gods in the Solo lane with a means to be aggressive with some sustain, specifically as a counter to other physical gods. This is great especially for Bellona, Erlang Shen, and Osiris. 20 physical power, 30 physical protection, 10% CDR, passive (any time you hit an Enemy god with an ability you are healed for 2.5% of your maximum health and mana. If you hit an enemy with a basic attack, you are healed for 0.5% of your maximum health and mana). Viability, Usage & Status: High Viability. Great anti-physical item with sustain, typically for ability-based physical gods in the Solo lane. Discussion: Most commonly picked up by Warrior Solo-laners immediately after their Boots of choice to counter other physical gods. The passive is great for sustain in combination with ability use, and the low price is great as a transition to the mid-game. This section provides a quick summary for T3 and T2-final items with survival stats. Categories are separated into Magical protections, Physical protections, and Universal protections / health. Unlike other chapters, I won't be restating stats and offering discussion. Rather, I will briefly indicate typical users and the most important functions they provide. Ancile: Key Functions: CDR/power/magical protection, shockwave of silence. Typical users: Bruiser assassins. Limitations: Physical only. Bulwark of Hope: Key Functions: Health shield / selfish survival. Typical users: Tanks. Limitations: None. Genji's Guard: Key Functions: CDR / mana sustain. Typical users: Tanks. Limitations: None. Heartward Amulet: Key Functions: Magical protection aura / team mana sustain. Typical users: Tanks. Limitations: None. Lotus Crown: Key Functions: Team protection buff. Typical users: Team healers. Limitations: Magical only. Oni Hunter's Garb: Key Functions: Teamfight damage mitigation. Typical users: Tanks. Limitations: None. Pestilence: Key Functions: Anti-heal. Typical users: Tanks. Limitations: None. Runic Shield: Key Functions: Anti-magical early 1v1 advantage. Typical users: All physical gods, situationally. Limitations: Physical only. Shogun's Kusari: Key Functions: Team basic attack speed / objective damage. Typical users: Tanks. Limitations: None. Stone of Fal: Key Functions: Anti-magical / anti-high burst. Typical users: Mages. Limitations: Magical only. Talisman of Energy: Key Functions: Team mobility / team aggression. Typical users: Tanks. Limitations: Magical only. Void Stone: Key Functions: Magical protection reduction. Typical users: Bruiser Mages / aggressive Guardians. Limitations: Magical only. Berserker's Shield: Key Functions: Bridge / anti-physical / sustain. Typical users: Physical, basic-attacking Solo-laners. Limitations: Physical only. Breastplate of Valor: Key Functions: CDR / Mana. Typical users: Tanks. Limitations: None. Celestial Legion Helm: Key Functions: High physical protection. Typical users: Mages. Limitations: Magical only. Dynasty Plate Helm: Key Functions: Bridge bruiser aggression. Typical users: Aggressive Guardians. Limitations: Magical only. Emperor's Armor: Key Functions: Objective offense / defense. Typical users: Tanks. Limitations: None. Gladiator's Shield: Key Functions: Bridge / anti-physical / sustain. Typical users: Physical, ability-based Solo-laners. Limitations: Physical only. Hide of the Nemean Lion: Key Functions: Anti-basic attack / anti-crit. Typical users: Tanks. Limitations: None. Jade Emperor's Crown: Key Functions: Aggressive anti-magical. Typical users: Aggressive guardians. Limitations: Magical only. Lotus Crown: Key Functions: Team protections. Typical users: Team healers. Limitations: Magical only. Midgardian Mail: Key Functions: Anti-basic attack. Typical users: Tanks. Limitations: None. Mystical Mail: Key Functions: Aggression / minion clear. Typical users: Solo-laners. Limitations: None. Sovereignty: Key Functions: Team physical protection / health sustain. Typical users: Supports. Limitations: None. Spectral Armor: Key Functions: Anti-crit. Typical users: All gods, situationally. Limitations: None. Void Shield: Key Functions: Aggressive protection reduction. Typical users: Bruiser Junglers, Solo-laners. Limitations: Physical only. This section contains items that provide dual protections, health, or both. Not all items that provide health are listed here...only the ones where health/survival is a large part of its contribution to overall stats. Gauntlet of Thebes: Key Functions: Balanced protections, team protection aura. Typical users: Supports. Limitations: None. Hide of the Urchin: Key Functions: Balanced selfish protections. Typical users: Bruisers / Tanks. Limitations: None. Lono's Mask: Key Functions: Damage mitigation to all incoming damage sources. Typical users: Non-standard gods in a Support role. Limitations: Assassin / Hunter / Mage only. Magi's Cloak: Key Functions: Anti-CC. Typical users: Squishy gods. Limitations: None. Mail of Renewal: Key Functions: Sustain in teamfights. Typical users: Tanks. Limitations: None. Mantle of Discord: Key Functions: Balanced protections / CDR. Typical users: All gods that find a need for protections. Limitations: None. Masamune: Key Functions: Move speed / power / situational protections. Typical users: Assassins / aggressive warriors. Limitations: Physical only. Shield of Regrowth: Key Functions: Mobility. Typical users: Gods with healing. Limitations: None. Shifter's Shield: Key Functions: High power / aggression. Typical users: All physical gods, situationally. Limitations: Physical only. Spirit Robe: Key Functions: Balanced protections / CC reduction / damage mitigation. Typical users: All gods, situationally. Limitations: None. Stone of Binding: Key Functions: Team penetration / aggression. Typical users: Tanks / gods with lots of CC. Limitations: Magical only. Stone of Gaia: Key Functions: High health sustain. Typical users: Tanks. Limitations: None. Winged Blade: Key Functions: Anti-slow. Typical users: Bruisers / tanks. Limitations: None. Protection Reduction and Penetration items are extremely functional and necessary for damage-dealers in all game modes. Both types aim to increase your damage output, but are calculated in different ways, and have drastically different effects in various situations. We will look at both groups separately, as well as how they can work together. What exactly does this mean? Specifically, the effect from the first type (% protection reduction) is calculated first. Adjusted numbers are then modified down the line, in that order. *NOTE* One final calculation is made after Protection Reduction and Penetration. This is called Damage Mitigation / Damage Reduction, and is applied by very unique items, such as Oni Hunter's Garb, Spirit Robe, and Warrior's Blessing. Some gods also have this built into their kits. However, that will not be discussed further in this section. The biggest conflict with these stats occurs when ANY Protection Reduction is present, and a % penetration item is also picked up. This isn't necessarily a big deal, but let's look at some examples to paint a clearer picture. Let's say the enemy tank has 200 magical protection. Example 1: You have Obsidian Shard (15-45% penetration) and Spear of Desolation (15 flat penetration). % pen is calculated first. In this case, Shard will provide 45% penetration due to the enemy's high magical protection. Shard takes 45% of 200, to a total of 110 protection (reduced by 90). Spear provides 10 flat penetration, for a combined total of 100 remaining protection. Example 2: You have Void Stone (15 flat protection reduction) and Obsidian Shard (15-45% penetration). Flat protection reduction would be calculated first. In this case, Shard will not max its effect, and rather provide 42% penetration due to the initial reduction from Void Stone. Stone takes off 15 flat protection from 200, to a total of 185 protection. Shard takes 42.2% of 185, for a combined total of 107 remaining protection (reduced by 78). What changed? Even though Void Stone has a higher flat value, you can see that Protection Reduction makes % penetration less effective, albeit by small margins in many cases. It is important to consider this when building multiple items in these categories, or when the god you choose provides some of these effects in their kits. In the earlier spoiler, I showed examples of decreased efficiency when mixing Protection Reduction items with % penetration ( Obsidian Shard). However, this doesn't always mean mixing the two is bad. A somewhat common item combination for hunters is The Executioner (provides Protection Reduction) with Titan's Bane (% penetration), particularly against tanky enemy compositions. The Executioner is great for basic attackers, but takes 3 hits to reach full potential. Titan's Bane will drop in efficiency, but also doesn't need stacking, so it provides more immediate penetration function. Against the tankiest enemies, it can provide up to a combined equivalence of 62% penetration! Decreased efficiencies are never openly welcomed, but combining Protection Reduction with % penetration is not always the detrimental thing that overcapping CDR by 20% would be, for example. Just something to think about. Finally, let's look at key differences between Protection Reduction and Penetration. Protection reduction DOES affect Gold Fury, Fire Giant, and Titan. Stacking items such as The Executioner and Demonic Grip don't overlap stacks, BUT if two gods have the same stacking item and are attacking the same target, max stacks can be achieved quickly. Decreases effectiveness of % penetration items/skills. DOES NOT affect minions, towers or phoenixes. Auras (such as those provided by Void Shield and Void Stone) CANNOT be stacked. Having 2 of the same aura item on your team is less efficient. Stacking items require multiple hits to reach full potency. Stacked Protection Reduction can be CC cleansed (e.g. Purification, Hel's Cleanse, Chang'e's Moonlit Waltz, etc. ), and would have to be reapplied. Flat Penetration enhances your damage vs objectives such as towers and phoenixes, as well as boss minions such as the Gold Fury, Fire Giant, and Titan. % Penetration enhances your damage vs boss minions such as the Gold Fury, Fire Giant, and Titan. Items don't require stacking, and are thus very functional for use with both ability-based and basic-attacking gods. Penetration is a personal buff. It directly increases only YOUR damage. % Penetration does NOT affect towers and phoenixes. Effect of % penetration is reduced by ANY Protection Reduction item or skill. Magical penetration items are picked up at all points of a build. Flat Penetration is typically picked earlier in a build, while % Penetration is usually more useful in the later parts of a build. 80 magical power, 15 flat penetration, passive (enemies hit by your abilities have 40% reduced healing and regen for 8 seconds). Viability, Usage & Status: High Viability. Anti-healing counter item. This is a strong counter item to healers of all types. Good to pick up in the mid-game, and the flat pen is effective against squishier targets. 55 magical power, 10 flat penetration, 35 physical protection. Viability, Usage & Status: Medium Viability. Cheap early-game counter to physical gods. Useful for Mid-Lane Mages and aggressive Guardians. This is a utility bridge item for Mages or aggressive Guardians, and is usually chosen as the 2nd or 3rd item. The physical protection is helpful for Mid-Lane Mages against strong physical pressure, such as that from Assassin Junglers, while the power and flat penetration can give you an early power spike, due to the low cost. If you get to the late game, you'll want to replace this with another item. 70 power, passive (your magic damage ignores 15% of the target’s magical protection. If the target has over 40 magical protections, this effect scales up to ignore a larger percentage of their protection. This caps at 45% magical penetration at 200 or more magical protection). Viability, Usage & Status: Medium / High Viability. Specific anti-tank function. Against enemies with low magical protection, this item is less functional than most flat penetration items. The true benefit is for ability-users against tanks, where it will deeply cut through their protection. Best to pick up in the late game. Effect is decreased if the enemy is affected by magical protection reduction of any kind. 15 flat penetration, 70 magical power, +20% damage dealt. CON: +25% damage taken. Viability, Usage & Status: Low / Medium Viability. Aggressive option for universal damage boost. Only for use by Guardians / Warriors. High power and flat pen combine with a large % increase in both ability and basic attack damage. It also makes you take a significant amount more damage, and is limited to Guardians and Warriors, so is likely to see little use in the meta. Can be a fun pickup for the offensively-minded, aggressive tank gods in non-competitive, teamfight modes, but that's about it. 100 magical power, 15 flat penetration, 10% CDR, passive (earning a kill or assist subtracts 1 second from all abilities currently on CD). Viability, Usage & Status: High Viability. Mid to late-game damage item for mages, niche use for aggressive guardians. The combination of power, CDR, and flat penetration is useful for basically any magical god looking for extra damage. 65 magical power, 10 flat penetration, passive (enemies hit by your damaging abilities have their magical protection reduced by 10 for 5 seconds, max 5 stacks). Viability, Usage & Status: High Viability. Great for gods with DoT, ticking, or other multiple-hit abilities. Very functional in the middle of a build. This is a unique item, in that it provides both penetration AND protection reduction. At full stacks vs. an enemy god, it provides the equivalent of 65 penetration!!! This is huge, and makes it extremely effective against squishy gods, whose inherent magical protection without items is only around 60-65 at level 20. However, because it requires stacks, it is best purchased on gods that 1) DON'T plan on getting Obsidian Shard, and 2) have abilities with DoT / ticking damage, allowing for easy stacking. Viability, Usage & Status: High Viability. Aggressive early to mid-game bridge item for Guardians or Mages with hard CC, looking for some protection to go along with early teamfight potential. Due to the moderate amount of balanced protections, this is often a choice for Guardians looking to have a bit of tankiness while also enhancing their team's damage on specific targets. 15 protection reduction is very powerful in the early game, and can remain very effective as the match extends into the late-game, if the team is sticking close and working well together. Magical protection reduction items are usually picked up in the middle of a build. Viability, Usage & Status: High Viability. Huge mid-game damage for basic-attacking Mages. 65 magical power, 10 magical penetration, passive (enemies hit by your damaging abilities have their magical protection reduced by 10 for 5 seconds, max 5 stacks). Viability, Usage & Status: High Viability. Great for gods with DoT, ticking, or other multiple-hit abilities. This is a unique item, in that it provides both penetration AND protection reduction. At full stacks vs. an enemy god, it provides the equivalent of 65 penetration!!! This is huge, especially against squishy gods, whose inherent magical protection without items is only around 48-65 at level 20. It is best purchased on gods that 1) DON'T plan on getting Obsidian Shard, and 2) have abilities with DoT / ticking damage or can hit quickly with basic attacks, allowing for easy stacking. 150 health, 20 magical power, 60 magical protection, passive aura (reduces the magical protection of enemies within 55 units by 15). Viability, Usage & Status: High Viability. Aggressive mid-game anti-magical counter item for Guardians. When picking up this item, you sacrifice a bit of potential power for a significant amount of magical protection, which can shift the advantage in a 1 v 1 fight. Usually picked up by aggressive Guardians for the utility. Requires some proximity for the protection reduction effect, so consider this when choosing it. Remember though, that most abilities and basic attacks fall within the 55 units, so if you're attacking, it's probably applying the effect. Physical penetration items are usually picked up in the middle to late sections of a build. There are a wide variety of options, with better effect at different stages of the game. 20 physical power, 20% lifesteal, 25% attack speed, 15 flat penetration, passive (if you drop below 35% health, gain an additional 30% lifesteal for 5 seconds, CD 15 seconds). Viability, Usage & Status: High Viability. Mid to late-game basic-attacker's lifesteal option with balanced stats and high sustain for effective boxing. The combination of power, lifesteal, attack speed and penetration, makes this an extremely functional item for basic attackers. Perhaps the best mid-game item for lifesteal. 40 physical power, 15 flat penetration, passive (enemies hit by your abilities have 50% reduced healing and regen for 8 seconds). Viability, Usage & Status: High Viability. Anti-heal for mid to late game ability-reliant gods. High power and flat pen combined with an anti-heal effect is a great offensive counter to a self or group healer. Often a good choice for a Warrior, to counter an enemy Solo-Laner such as Amaterasu, Chaac, Guan Yu, Hercules, or any magical healer. 30 physical power, 10% move speed, 10 flat penetration, 200 mana, 7 MP5, passive (every successful basic attack gives you 1 stack of focus. At 5 stacks, your next ability consumes the stacks and deals bonus Damage equal to 80% of your physical power to the first enemy god hit and restores 10% of your max mana). Viability, Usage & Status: High Viability. Strong aggression with burst damage potential for Assassins and Hunters. This is a strong item that can be built early or late game. The reasonable price and flat penetration are helpful for early-game aggression, but the passive's late-game power scaling make it functional for added burst. 25% attack speed, 10 flat penetration, passive (basic attacks increase your physical power by 10, and reduce your target's physical power from items by 7 for 3 seconds, or magical power from items by 15 for 3 seconds, max 3 stacks). Viability, Usage & Status: High Viability. Aggressive bridge item for basic attackers in the early to mid-game. This is a strong item for the price that provides a significant early-game power swing for basic attackers, providing a potential 1 v 1 advantage. The power swing makes it effective against all enemies, whether they're ability users or basic attackers, magical or physical. Since it is a bridge item, it should replaced in the late game by a full Tier 3 item. 40 power, 150 mana, 10 penetration, 20% CDR. Viability, Usage & Status: High Viability. Early to mid-game CDR for ability-reliant gods. People generally buy this for the CDR to help spam their abilities, not for the penetration it brings, which is just an added bonus. Usually picked up in the early to mid game, and is not recommended for most basic attackers. 15 flat penetration, 35 physical power, +20% damage dealt. CON: +25% damage taken. 30 physical power, 35% attack speed, 10 flat penetration, passive (for each 0.02 attack speed you go over cap (2.5) you gain 1 physical power). Viability, Usage & Status: Questionable Medium Viability. Mid to late-game, high attack speed item that provides some benefit from overcapping attack speed. This item should see the most benefit from builds incorporating Qin's Sais, due to the attack speed and penetration. Gods that have strong attack speed steroids may find use for this item when looking to get the most out of Qin's passive at all times, though it's typically not suggested to overcap much. True potential is unknown, but it is not currently a favored item. 30 physical power, 15 flat penetration, 20% attack speed, passive (your abilities deal bonus damage over time equal to 20 + 15% of your Physical Power over 2 seconds.). Viability, Usage & Status: High Viability. Mid to late-game damage option for basic attackers that also rely on abilities for some damage. This is a mid to late-game pickup for basic attackers, providing a great combination of damage-focused stats. Due to its passive scaling, it's most effective in high-power builds. 30 physical power, passive (your physical damage ignores 15% of the target’s physical protection. If the target has over 65 physical protections, this effect scales up to ignore a larger percentage of their protection. This caps at 40% physical penetration at 200 or more physical protection). Against enemies with low physical protection, this item is less functional than most flat penetration items. The true benefit is for ability-users against tanks, where it will deeply cut through their protection. Best to pick up in the late-game. Effect is decreased if the enemy is affected by physical protection reduction of any kind. This is an item most notably used by basic attackers for anti-heal effect. It's applied on basic attacks rather than abilities, so only has utility function for gods that use basic attacks often. Without any power, this is used only sporadically. Physical protection reduction items are usually picked up in the middle to late stages of a build. There are a few options, with better effect at different stages of the game. 50 physical power, 10% move speed, passive (melee basic attacks decrease an enemy's physical protection by 10, and increase your physical protection by 10 for 3 seconds, max 3 stacks). Viability, Usage & Status: High Viability. Mid to Late-game utility option for basic attacking Assassins and Warriors. Due to the high price, this should usually be picked up in the late game. This is a good counter to other physical gods in 1 v 1 situations. Only works for melee attacks, so should NOT be picked up by Hunters! 30 physical power, 25% attack speed, passive (basic attacks against an enemy reduce the target's physical protection by 12% for 3 seconds, max 3 stacks). Viability, Usage & Status: High Viability. Mid to late-game basic attacker's option. Some like to pick this up in the mid-game before Qin's Sais or crit items. Others prefer to get Ichaival first, or not at all, and build this as a late item. This is a solid pickup for the combination of protection reduction and attack speed. More effective with more physical teammates. 20 physical power, 50 physical protection, 150 health, passive aura (reduces the physical protection of enemies within 55 units by 20). Viability, Usage & Status: High Viability. Mid-game anti-physical bruiser item. When picking up this item, you sacrifice high power or protection for a smaller portion of both. The key is the added protection reduction, which can swing the mid-game in your favor, especially when targeting squishy enemies that have low physical protection. More effective in the mid game, as the 20 flat protection reduction falls off in the late game to a degree, but with recent the recent nerf to Titan's Bane, this becomes a more viable item. CDR (Cooldown Reduction) is a highly prized stat that is greatly appreciated by all gods that rely heavily on their abilities to be effective. The stat is capped at 40%, which means it's important to think ahead when planning your build...there are many choices, and simply getting two 20% CDR items (e.g. Breastplate of Valor + Jotunn's Wrath) means you block yourself from getting full effectiveness from other items that could potentially provide more function. In addition, there are a couple of temporary buffs that increase your CDR for a short time: the Blue Mana buff and the Potion of Magical Might. If you regularly pick these up, you may not need to go beyond 30% CDR. This chapter will go over CDR options, and provide some examples of item combinations to get the most out of the stat. 65 physical protection, 300 mana, +10 MP5, 20% CDR. Viability, Usage & Status: High Viability. Great anti-physical item with a huge boost in mana pool and CDR. 65 magical power OR 30 physical power, 35% move speed, 20% CDR. CON: +10% damage taken, -10% damage dealt. 150 health, 70 magical protection, +40 MP5, 10% CDR, passive (when you take magical damage from abilities, your CDs are reduced by 3 seconds. CD 30 seconds). Viability, Usage & Status: High Viability. Great anti-magical item with great mana sustain. This may be the most balanced anti-magical protection item. It provides some of everything...high protection, a bit of health, great mana sustain, and a passive that situationally gives you better than 20% CDR for some abilities. Never overlook this item. 400 health, +10 HP5, 10% CDR, passive (gain 15% of your maximum health and mana over the next 5 seconds when you get a kill or assist against an enemy god or objective (Fire Giant, Gold Fury, etc.). Consecutive triggers of this passive refresh its duration, but do not stack). Viability, Usage & Status: Low Viability. Although the very high health is great, the situational sustain is just not strong enough. This item has little viability in a longer game mode like Conquest, though can be more effective in teamfight modes. It just doesn't have enough stats without the passive being in effect to provide enough functional utility. Also, the passive doesn't stack, it only refreshes upon getting multiple kills/assists. 60 magical protection, 60 physical protection, 10% CDR, passive (if you take damage below 30% health, you unleash a shockwave that stuns all enemies within a range of 20 units for 1 second and gain CC immunity for 1 second. CD 90 seconds). Viability, Usage & Status: High Viability. Expensive but effective protection item with utility survival function. High balanced protections make this an expensive bigger brother (of sorts) to Spirit Robe. The passive should be specifically noted...it only triggers when you're close to death, and has a long CD, so is designed to be effective more as a single protection item for some squishy gods to help them escape dangerous situations, rather than as a standard tank item. 300 health, 10% CDR, 10% move speed, passive (your relics receive 30 second CDR). Viability, Usage & Status: Medium Viability. Niche use for gods reliant on Blink Rune. Helpful if reliant on relics overall for protection. Best and most common use of this item will be for gods that want to use Blink Rune as often as possible. Almost a core item in teamfight modes for gods like Odin and Ares, but sees much less use in Conquest. Can also be considered as a defensive item if you need Purification Beads or Aegis Amulet to be available as often as possible. 300 health, 10% CDR, +15 HP5, +15 MP5, passive (after healing yourself from an ability, you gain +40% move speed for 4 seconds. CD 10 seconds). Viability, Usage & Status: Medium / High Viability. High mobility utility item. This item only works on gods that have healing in their kits. That said, it provides a great level of survivability due to the boost of high movement speed. With a very short CD that allows it to be used extremely often, it not only functions for chase / espape situations, but also to quickly traverse the large Conquest map. Great for gods such as Amaterasu, Artio, Chaac, Hel, Hercules, and Thanatos, to name a few. 60 magical protection, +20 MP5, 10% CDR, 20% CC reduction, passive AURA (allied gods within 70 units have their attack speed increased by 20%). Viability, Usage & Status: High Viability. Anti-magical utility item to support multiple basic attackers. Although a bit niche, it is extremely functional as a mid-game item to boost basic attack speed, not only for you, but for nearby teammates as well. I say mid-game, because late-game, most basic attackers have built up plenty of attack speed themselves, so it may be a bit less effective at that point. Due to towers only taking damage from basic attacks, it is also helpful in team pushes to take down objectives more quickly. I suggest getting it on tanky gods (Supports and Solos) that also have some basic attack function in their kits, such as Bellona, Ymir, and Terra. 40 magical protection, 40 physical protection, 10% CDR, 20% CC reduction, passive (gain an additional 15% damage mitigation for 3 seconds whenever you are hit with a hard CC ability. CD 15 seconds). Viability, Usage & Status: High Viability. Universal protection function. This provides a great balance of stats for a tanky god with great anti-CC function, with the main draw being the passive's ability to mitigate a good portion of incoming damage. Note that damage mitigation comes into effect BEFORE protections are factored in, so is also effective against TRUE damage. Should be basically a staple / core item for most tanks. Viability, Usage & Status: Medium Viability. Situational anti-basic attack utility. Similar to the other items above that provide multiple functions, this is a direct counter item to basic attackers, while providing some added benefit for gods with basic attack function in their kits. You should probably only consider when facing multiple basic attacking enemies. Combines well with Midgardian Mail. 90 magical power, +20 MP5, 20% CDR, passive (every 10 seconds the pendant activates, subtracting 1 second from all abilities currently on CD). Viability, Usage & Status: High Viability. Highest CDR in an offensive magical item. The somewhat high price makes it a better pickup in the mid to late-game. The CDR it provides is invaluable, and with the passive, provides better than 20% CDR equivalence. +10 bonus ability damage, 20 magical power OR 10 physical power, +3 MP5 per 10% mana missing. Note that the CDR doesn't come into effect until all stacks are built. Unlocks at level 10. Increases your magical power by 60 and CDR by 10% for 5 minutes or until you are killed. Also, damaging enemy gods with an ability returns 3% of your max mana. Viability, Usage & Status: High Viability. Reasonably-priced consumable (500 gold) for mid and late-game boost. If you're able to play it reasonably safe and have good teamwork, getting this 5 minute consumable can provide a good payoff. At the 10-minute mark (when this item unlocks), you won't have maxed CDR, and the power boost is helpful, especially for gods with high-scaling abilities. The availability of this item means you don't necessarily have to get a full 40% CDR from items if you're okay with this consumable. 40 magical power, 12% lifsteal, 10% CDR, 200 health, passive AURA (allied gods within 70 units gain 12% magical lifesteal and 30 magical power OR 10% physical lifesteal and 20 physical power). Viability, Usage & Status: High Viability. High utility lifesteal and teamfight function. This lifesteal item is often overlooked by more selfishly direct options such as Polynomicon and Bancroft's Talon. However, in a group fight, the aura of shared power and lifesteal is incredible. This is definitely an underrated item. Consider picking up on Mages with utility in their kits that need to stick close to teammates, or for aggressive Guardian Supports looking to add offensive utility to teamfights. 40 magical power, 250 mana, 10% CDR, 18% move speed. Viability, Usage & Status: High Viability. Main movespeed item that provides CDR for ability-spamming. Best in teamfight modes such as Arena, Assault, and Clash. Can replace Shoes of the Magi late-game. This is an option for gods looking to use their abilities as often as possible. The additional mana really helps early ability use. 65 magical power, 150 health, 12% magical lifesteal, 10% CDR, passive (successful hits of an ability gains 1 stack. At 4 stacks your next ability that damages an enemy god will deal bonus damage equal to 30% of your magical power, and will heal yourself and allies within 20 units for 40% of your magical power and will consume the 4 stacks). Viability, Usage & Status: High Viability. Utility lifesteal item for burst damage, survivability, and minor team healing. This is an interesting new item for S5, strongly focused on utility use rather than pure damage output. The burst damage it provides at full stacks is helpful, but to get enough healing out of it, it's better for gods that have low CDs on their damaging abilities. Viability, Usage & Status: High Viability. Solid starter providing CDR and eventual enhanced movespeed, with increased stacking ease for team healers. Non-Conquest modes only. This item provides a lot of potential utility in all non-Conquest modes. The 10% CDR is very nice for the cost. Combined with the increased movespeed once evolved, it can possibly retain value until late-game, where it would be sold for a full T3 item. 80 magical power, 20 flat penetration, 10% CDR, passive (earning a kill or assist subtracts 1 second from all abilities currently on CD). Viability, Usage & Status: High Viability. Mid-game early pen option for damage boost. The combination of power and flat penetration is useful for basically any mage looking for extra damage, especially in the earlier stages of a match. It's not a core CDR item, though, and you might consider skipping this item if you need to counter a healer (in which case, you'd probably consider Divine Ruin). 70 magical power, 40 magical protection, 10% CDR, passive (anytime you are dealt more than 20% of your max health by a single magical ability, that damage is instead reduced by 10%. This effect has no CD). Viability, Usage & Status: Low Viability. Protection for mages against high magical burst. This is a unique item for mages that provides them with protection...something many mages don't usually build. The protection is low and only against magical damage, so is best purchased when facing a particularly difficult mage with high single-hit burst potential, such as Scylla, Thoth, Ra, and Poseidon. However, the damage reduction just isn't strong enough to make it a very worthwhile pickup. 40 physical power, 50 magical protection, 10% CDR, passive (whenever you take magical damage from an enemy ability you unleash a shockwave that Silences all enemies within a range of 30 units for 1 second. CD 30 seconds). Viability, Usage & Status: Medium / High Viability. Anti-magical protection for gods in the midst of a fight. Functional if the majority of the enemy threat is magical. Due to the low range, the passive is only helpful if you're in the midst of a fight. Most commonly picked up by Warrior Solo-laners immediately after their Boots of choice to counter other physical gods. The passive is great for sustain, and the low price is great as a transition to the mid-game. Replace late. 35 physical power, 450 health, 200 mana, passive (while over 50% mana, gain 10% CDR. While under 25% mana, gain 50 MP5). Viability, Usage & Status: Medium Viability. Niche high survival item with situational CDR or huge mana sustain for Warriors. The targeted audience for this type of item is likely physical Solo-laners. It provides a huge pool of health and mana, while also offering situational CDR/mana regen. The thing here is that part of the draw is that you'll never run out of mana...but at least for Conquest, the Solo-laner shouldn't have too many mana issues in the first place, due to the blue mana buff. It puts this item in a weird position, with difficulty in determining exactly when and where it's best used. As of now, it's used situationally. 40 physical power, 10% CDR, passive (for 8 seconds after using an ability, your next basic attack will deal an additional 50% damage. Also, grants 2.5 MP5 per 10% of your missing mana). Viability, Usage & Status: High Viability. Great damage booster for gods that use basic-attack canceling. This item's passive damage boost is activated via basic attacks used after activating an ability. This means it's important to use basic attack canceling (attacking with basics in-between ability use) when stringing multiple abilities together. 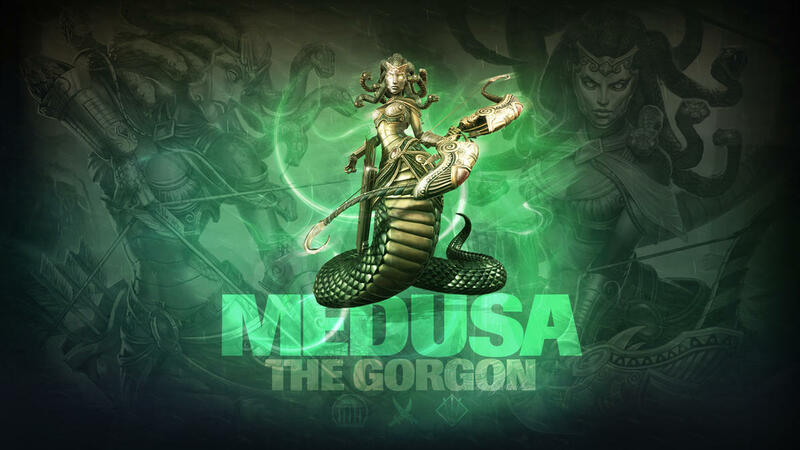 Great for gods such as Arachne, Awilix, Loki, Susano, and Thanatos. 40 physical power, 150 mana, 10 physical penetration, 20% CDR. Viability, Usage & Status: High Viability. Core CDR item for offensive physical gods. Providing the single highest CDR for offensive physical use, it is a key early to mid-game pickup. Note that it's strictly for offensive use, so it's more effective and recommended for Assassins, rather than Warriors. 40 physical power, 200 mana, 10% physical lifesteal, 10% CDR, passive (each time anything dies near you, you gain a stack. Gods, large jungle monsters, and jungle bosses provide 5 stacks. At 75 stacks, Soul Eater evolves – gaining +20 physical power and allowing your abilities to heal you for 15% of the damage dealt). Viability, Usage & Status: High Viability. High power lifesteal/sustain item for hybrid basic / ability attackers. This is an interesting item that is generally meant for gods that utilize both basic attacks and abilities (e.g. ability-reliant hunters), with specific intent to provide sustain via lifesteal and healing. The high power is the main draw, with the rest of the stats providing a decent balance of utility. Although it's a stacking item, it won't take long to evolve, as ANY nearby death (friend or foe, including minions) will provide stacks. 35-98 physical power, 300-1050 mana, 10% CDR, +6 MP5, passive (Permanently gain +15 mana per stack, and receive 5 stacks per god kill and 1 stack per minion kill. Max 50 stacks. *Additionally, 3% of your Mana is converted to Physical Power.*). Picking this item requires planning, and should be picked up early to start stacking ASAP. Discussed in more detail in the Stacking Items chapter, but overall provides a very high amount of power and mana to support ability use. When looking to build high CDR (usually 30-40%), it's important to combine the right items together for the specific god and situation. A lot of build progression is covered in Chapter 2, but we'll talk specifically here about the focus on maxing CDR. A lot of people are set on hitting that 40% mark, and doing so as quickly as possible. However, in many cases, you should understand that 30% CDR is already quite high, and other, non-CDR items may provide more utility in your full build. It is also a bit more important to build more CDR in teamfight modes such as Arena, Clash, and Joust, where you're constantly engaged with the enemy. In any case, here are some general suggestions for CDR item combinations for various roles. 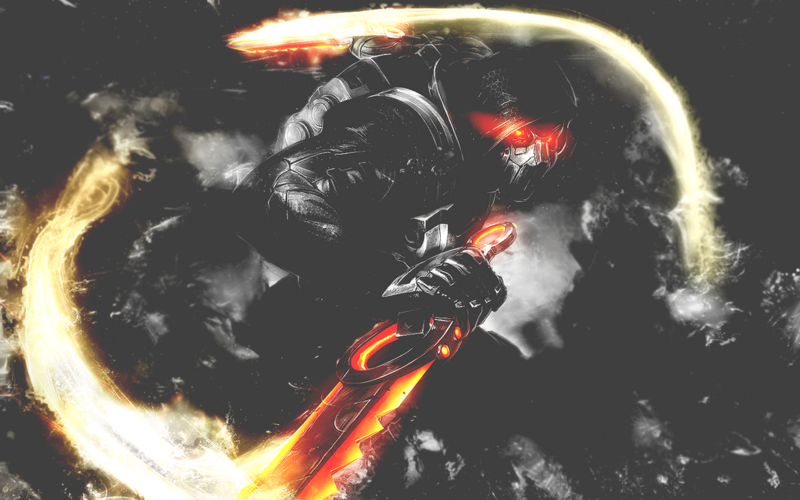 Most Assassins focus on offense, though some will build bruiser with 1 or 2 protection items. Universal Offense: Jotunn's Wrath, Hydra's Lament. The 1-2 punch of a offensive physical ability user is Jotunn's + Hydra's. In most cases, Asassins are pretty adept at weaving basic attacks in-between ability use. I'll emphasize that I feel in most cases that 30% CDR is plenty. In some cases (perhaps Bastet or Loki), consider adding Transcendence as an early game item specifically for the high power. It will also get you to max CDR, and the very high power is great for abilities with high scaling. Bruiser (added protection): Add Spirit Robe or Mantle of Discord. If you want to max CDR, getting 1 protection item is an absolutely viable option. Unless faced with only magical or physical threats, universal protections provided by Spirit Robe and Mantle of Discord are suggested. High Mobility (for healers): Add Shield of Regrowth. Great for gods like Thanatos, who appreciate the added health and movespeed to secure kills on fleeing enemies. Almost universally, Guardians will build as full tanks, with little emphasis on damage (at least in Conquest). Unfortunately, they don't get great CDR bridge items like Gladiator's Shield, but they DO have access to other options to compensate. Here, though, we'll only be talking about protections. Universal Protection: Breastplate of Valor, Genji's Guard OR Shogun's Kusari, Spirit Robe. This is a standard combination for full protections. It maxes CDR and allows for at least 2 item slots for specific counter-building. The choice between Genji's Guard and Shogun's Kusari depends on the amount of basic attackers on your team, and whether or not you have good basic attacking utility in your own kit. For a purer defensive item, Genji's is extremely well-balanced. Preference for Specialist's Blessing or Shoes of Focus: Subtract Genji's Guard or Breastplate of Valor. If you prefer early CDR in a starter (non-Conquest) or shoes, I suggest replacing either Breastplate of Valor or Genji's Guard. In place of physical protections, you can get a more universal protection item like Hide of the Urchin, or as a Support in Conquest, consider Jade Emperor's Crown or Sovereignty. In place of the magical protections , consider a more offensive option such as Void Stone. If facing multiple basic attackers, add this in the later stages of a game. You can hard-counter basic attackers further by also adding Midgardian Mail. Almost all mages benefit greatly from CDR. Remember also that at the 10-minute mark, Potion of Magical Might becomes available for an easy (albeit temporary) power and 10% CDR boost. Unless you're focusing on basic attacks (e.g. Freya), consider the following combos. Universal Offense: Mage's Blessing or Specialist's Blessing, Spear of Desolation, Chronos' Pendant, replace Shoes of the Magi late with Shoes of Focus. This might be a bit confusing. Let me elaborate. Early game, if you're intent on CDR, pick up the appropriate Blessing (for the mode) for the cheap CDR. Most gods early game will go Shoes of the Magi for the early poke potential...if so, replace late with Shoes of Focus...otherwise, you can opt to pick up Shoes of Focus from the start. Spear of Desolation is a solid mid-game item for the CDR and high flat penetration, but isn't essential. Chronos' Pendant is a great mid to late-game CDR item, and can be considered before Rod of Tahuti. Late game, you'll replace your blessing with another item that usually doesn't have CDR. Between Spear, Chronos, and Focus, you'll hit the max 40% CDR. Teamfight Function: Add Pythagorem's Piece or Soul Gem. You'll usually pick one of these up mid-game, for the health sustain you'll get from the lifesteal. Very beneficial for gods like Isis who want to remain in the midst of teammates and thus will provide benefit to others with the utility this item provides. You can sub out any of the other CDR items from the Universal Offense list as needed. Anti-Magical Burst: Add Stone of Fal. Pick up the Stone late-game, specifically to counter magical enemies that have proven to be troublesome with their burst damage. You can sub out any of the other CDR items from the Universal Offense list as needed. Most Warriors these days will build mostly tanky, with only 1 or 2 offensively-oriented items. As such, although the draw to purchase Jotunn's Wrath is understandable, you'll usually be better off looking at defensive CDR items. Universal Protection: Gladiator's Shield OR Berserker's Shield, Genji's Guard OR Shogun's Kusari, Spirit Robe, replace Gladiator/Berserker with Breastplate of Valor. This combo is great with an early focus on countering physical gods, though you can switch Genji's and Gladiator/Berserker if facing more magical gods. The choice between Genji's Guard and Shogun's Kusari depends on the amount of basic attackers on your team, and whether or not you have good basic attacking utility in your own kit. For a purer defensive item, Genji's is extremely well-balanced, and the high MP5 it provides is a good replacement for the high mana pool you'd get from Breastplate of Valor. If your god has healing abilities, add this into the mix when you see fit (mid-game or later). Consider skipping Breastplate of Valor altogether, and replacing Gladiator's Shield/ Berserker's Shield late-game with a non-CDR counter item. Lifesteal is a direct means to help sustain in lane, or outlast an opponent in a fight. Magical and physical lifesteal work differently, though, so the individual sections will discuss their best uses. Magical lifesteal items are generally picked up by Mages. Guardians almost never pick up lifesteal items, though Polynomicon can be seen on the occasional Ymir, specifically for the extra damage it provides. Magical lifesteal is gained by both abilities and basic attacks. It is usually picked up in the early to middle stages of a build, after movement speed items are obtained. 100 magical power, 15% lifesteal, 150 mana, passive (gain additional magical power and lifesteal from missing health. Caps at +100 power and 20% additional lifesteal at 25% health). Viability, Usage & Status: High Viability. Lifesteal item for aggressive gods, and those with short-range damage abilities and high exposure. Why short-range? The added benefit from this item is seen when your health is reduced. Other options provide utility...this is pure damage. Thus, it is an aggressive option for Mages that expect to take some damage due to vicinity, but expect most matchups to end in their favor, such as Anubis and Hades. Due to the high power to cost ratio, this is also a popular sustain pickup for a variety of Mages in the early game to aid aggression. 75 magical power, 12% lifesteal, 300 mana, passive (using an ability gives your next basic attack within the next 8 seconds +75% of your Magical Power as additional magical damage. The effect can only apply once every 3 seconds). Viability, Usage & Status: Medium / High Viability. Added basic attack damage for builds with high magical power and some added measure of control. The passive requires you to get a basic attack in after using an ability to apply the added damage. Also, the added damage is directly tied to magical power. Thus, this is an option for a high magical power build where they can easily follow up ability use with a quick basic attack. Abilities with CC are extremely helpful to confirm basic attack hits. Popular users include Kukulkan and Ymir. 40 magical power, 10% CDR, 12% magical lifesteal, 200 mana, passive aura (you and all allies within 70 units gain 12% magical lifesteal and 30 power OR 10% physical lifesteal and 20 power). Viability, Usage & Status: High Viability. Utility guardian team-wide sustain choice for teamfights, functional use for mages. Has highest functionality in the presence of teammates, providing everyone within range with additional power and lifesteal to help outlast the enemy team. Although it sacrifices some power compared to other options, utility Mages and aggressive Guardians can make great use of this item in teamfights due to the spread of stats. 65 magical power, 150 health, 12% magical lifesteal, 10% CDR, passive (successful hits of an ability gains 1 stack. At 4 stacks your next ability that damages an enemy god will deal bonus damage equal to 30% of your magical power, and will heal yourself and allies within 20 units for 30% of your magical power and will consume the 4 stacks). This item is strongly focused on utility rather than pure damage output. The burst damage it provides at full stacks is helpful, but to get enough healing out of it, it's probably better for gods that have low CDs on their damaging abilities. 80 magical power, 15% lifesteal, 200 mana, passive (your magical lifesteal from items is increased by 40%. Your magical power is increased by 200% of the magical lifesteal you have). Viability, Usage & Status: High Viability. Late-game 2nd lifesteal item for possible lifesteal stacking and a significant power boost. By itself, you'll actually receive 14% lifesteal and 114 power, due to the passive. The passive basically suggests that you stack with an additional lifesteal item to further enhance total lifesteal, so consider this as a 2nd (late-game) lifesteal addition to provide yourself with incredible sustain in fights. Note that magical lifesteal caps at 65%, and that certain gods have inherent lifesteal function (e.g. Freya, Anubis). Best lifesteal to combine Typhon's with are probably Polynomicon, Pythagorem's Piece, or Soul Gem. However, the passive's bonus healing can exceed this cap. Physical lifesteal items support sustain and boxing. They are mainly picked up by Assassins, Hunters, and occasionally by basic-attacking Warriors whose builds focus strongly on damage. Beware: physical lifesteal only works with basic attacks, so should only be picked up by basic attackers. *NOTE* Lifesteal is reduced to 33% for each connecting hit for Izanami, as well as for AOE abilities that trigger basic attack effects. 20% lifesteal, 25% attack speed, 10 physical penetration, passive (if you drop below 35% health, gain an additional 25% lifesteal for 5 seconds, CD 15 seconds). Viability, Usage & Status: High Viability. Cheap mid-game bridge option with balanced stats. The combination of low price, attack speed, and penetration makes this an extremely functional item for basic attackers and is probably the most popular physical lifesteal item in most modes. Perhaps the best mid-game item for lifesteal, as long as enough power has been built beforehand, since it doesn't provide any itself. Pairs well with Hunter builds incorporating Transcendence, which provides the high power. Since it's technically a tier 2 item, consider replacing late-game. 75 physical power, 15% lifesteal, passive (killing an enemy god forges a shield equal to 200 +10 per player for 20 seconds. While the shield is active you gain +10% move speed. Viability, Usage & Status: High Viability. Late-game luxury lifesteal option. Early Hunter option for Assault. The high power is wonderful, but the cost is not. In most game modes, it's important to consider not only stats, but price as well. Waiting to complete this item in the mid-game can be disadvantageous, as enemies will have completed at least one item, with a solid start on another. Can be very effective for an Assassin looking to get in, secure a kill, and get out alive. Generally only consider this as a late game replacement to Asi or Devourer's Gauntlet, depending on the rest of your build. This is my suggested first item for pretty much all basic-attacking hunters (not Neith) in Assault, for sustain purposes. 30 physical power, 10% lifesteal, passive (permanently gain +0.5 physical power and +0.2 lifesteal per stack. Receive 5 stacks for a god kill, and 1 stack for a minion kill, max 70 stacks). Viability, Usage & Status: High Viability. Early sustain option for Hunters. Cannot be used in Assault. At full stacks, this item provides 65 physical power and 24% lifesteal. Although it takes a while to build stacks, it is still the best option for early sustain, and pros such as BaRRaCCuDDa use it fairly often. Needs to be picked up as the 1st or 2nd item, in order to build the stacks and keep you competitive in lane. 30 physical power, 200 mana, 10% physical lifesteal, 10% CDR, passive (each time anything dies near you, you gain a stack. Gods, large jungle monsters, and jungle bosses provide 5 stacks. At 75 stacks, Soul Eater evolves – gaining +20 physical power and allowing your abilities to heal you for 15% of the damage dealt). Viability, Usage & Status: High Viability. Niche lifesteal/sustain item for hybrid basic / ability attackers. Recently reworked item, unknown effectiveness and use in upcoming meta. Although it's a stacking item, it won't take long to evolve, as ANY nearby death (friend or foe element) will provide stacks. This section discusses the general mechanics and variation of basic attacks, as well as itemization for physical, basic-attacking gods, and discusses the merits and disadvantages of choosing specific damage enhancement items, namely Qin's Sais and critical damage options. First, let's establish base of knowledge on basic attacks and attack progression. Physical / Magical Damage: Every god has a base value for basic attack damage. This value increases by a static amount per level. Power gained from item purchases will increase damage potential. For physical gods, power provides 100% scaling. This means if you build physical 100 power, your base damage (before mitigations/protections are calculated) will increase by 100...at least for attack progressions of 1 (more on that in a bit). For magical gods, power provides 20% scaling. If you build 100 magical power, your base damage will increase by only 20. Single Target / Cleave: Most basic attacks, when no abilities are considered, are single target. Whichever target it hits first, it damages, and the attack is over. However, some attacks can cleave (hit multiple targets in range). Cleaves can affect the base damage stat in select cases, and also affects lifesteal amount. Attack Progression: Attack progression is a much more complex stat. For reference, look on the individual god pages on the Official SMITE Wiki. You'll find progression information in the Summary section. It refers to both attack speed and the damage multiplier, which I will explain shortly. 0 Progression: The easiest to understand are gods with no progression, or rather, no variation in their attack speed. Hunters are a prime example. Each basic attack will be timed equally apart from each other. The only variant that will change the basic attack is the attack speed stat. Reference Neith as an example. All basic attacks will deal the same damage, given the same target and no change in protection values of the target. Variable Progression: Many gods attack differently and at different speeds if you basic attack multiple times in a row. The easiest way to see this is to hold down your basic attack button. The attacks can vary by being sped up (values below 1), or slowed down (values above 1). They will typically have different animations, so you can see a visual difference. In addition, and it's important to note...attack damage is affected by the progression value. Let's put all of this information into some examples I will discuss in more detail. If you're learning about progression, read in order, as I cover some basic info with Ratatoskr, but employ different points in the others. Ratatoskr's attack progression reads as 1 / 0.5 / 0.5 / 1.25x damage and swing time, hitting in an AOE on the final blow. For ease of calculation, let's say his normal basic attack damage is 100, and his attack speed is exactly 1. The first attack will hit immediately, but will have a cooldown of 1 second before the next basic attack can be used. The next 2 attacks will hit with a cooldown of 0.5 seconds each. However, they will ALSO have a damage modifier, with the 0.5 value being applied by multiplication to the base damage. Specifically, it's 0.5 * 100 = 50. Each of these two hits will deal 50 damage, but will come twice as quickly as the first. Kali's attack progression reads as 1 / 0.5 / 0.5x damage and swing time. BEAT, beatbeatBEAT, beatbeatBEAT, beatbeatBEAT, beatbeatBEAT. The specific reason I'm giving this example is because she is a perfect user of Qin's Sais. Qin's provides a passive damage boost that applies the same damage separate from the attack progression modifier. Even when her base basic attack damage is halved that of her first attack, Qin's will still apply its full passive damage. This makes the item extremely effective for her. More on build strategies in a bit. How do you use this info to your advantage? Well, Guan isn't a basic attacker. He's an ability user. However, in the early laning phase of a Conquest match, he'll rely a decent amount on his basic attacks to help clear minion waves. The first two attacks will only hit one enemy...but the 3rd hit is a cleave with enhanced damage. This means, when you need to clear the wave with basic attacks, you want to make sure you're always getting to that 3rd hit, and targeting multiple enemies in front of you to use it to its fullest potential. The last hit is also unique...it can do a significantly higher amount of damage (1.75x the damage of the base, which is close to double damage), AND it has an extended range, so you can hit targets that are a bit farther away. Although you likely won't use that much, it can be helpful in fights when all of your abilities are down. We'll discuss build strategies with this knowledge in a bit. But it'll be good to cover those damage spike items that are most commonly involved first. Now we'll get into a closer look at Qin's Sais and the critical strike item options. In most cases, as a single item, Qin's Sais will increase a physical basic attacker's DPS more than any other item. However, for appropriate gods with a proper accompaniment of items, crit builds can be extremely effective. People will typically build either into either Qin's OR crit, but usually not both. 40 physical power, 15% attack speed, passive (on basic attacks, deal physical damage equal to 3% of the target’s maximum health. If the target has over 2000 health, your basic attack bonus damage scales up, capping at 5% max health on 2750 hp targets. This only affects gods). Viability, Usage & Status: Medium / High Viability. Mid-game damage spike for basic attackers. This item is often picked up in the mid-game as the centerpiece of a basic-attacker's build. Pairs extremely well with The Executioner or penetration items. Requires fast attack speed to be effective, and effectiveness is increased the higher the enemy's max health. This is an item that works extremely well for gods that have short attack progression, such as Kali, Osiris and Erlang Shen. More in the next spoiler. 40 physical power, 25% crit chance, passive (crit damage is increased by 30%). Viability, Usage & Status: High Viability. Late-game, practically essential crit item for standard crit builds, with specific exceptions. With high single-item crit chance and a passive that further increases bonus damage from crits, this is an essential item when building into crits. Typically built as a 2nd or 3rd crit item, due to the high cost. Specific examples where gods might choose this as a first crit item, and even build as early as the mid-game, include gods that have crit function built into their kits or abilities, such as Jing Wei and Ne Zha. 40 physical power, 25% crit chance, passive (successfully hitting an enemy with a critical strike will subtract 2 seconds from all of your abilities currently on CD, except your ultimate ability. This effect can only happen once every 5 seconds). Viability, Usage & Status: Low / Medium Viability. Unique 1st or 2nd crit item. An expensive item (so usually best built later in a build), this can be purchased as either the first or second crit item. Provides a unique kind of CDR that can be helpful if you're spamming abilities, but its actual use in Season 6 is to be determined. Possible crit option for gods such as Mercury, Ne Zha and Serqet. 20 physical power, 15% crit chance, 15% attack speed, passive (critical hits on enemy gods slow them by 20% and reduce their damage output by 15%). Viability, Usage & Status: High Viability. Crit item built for boxing potential. Unique item that is best suited for those expecting to take damage while boxing, and looking to outlast their opponents. Probably most functional as either a 1st or situational 3rd crit item. Perhaps a key crit item in duel matches. 20 physical power, 30% crit chance, passive (Killing or getting an assist on an enemy god gives you 1 stack. Each stack provides 2% Critical Strike Chance. Stacks are permanent and stack up to 5 times (total 40% in its evolved state). Viability, Usage & Status: High Viability. Mid to late-game 1st or 2nd crit option for increased crit chance. The price makes this item appealing, along with the passive's effect at increasing chance overall. If you prefer higher than "standard" 40% crit chance but don't want to sacrifice 3 item slots, this can be a great pairing with Deathbringer following it. 30 physical power, 20% crit chance, 10% attack speed, passive (crits increase your attack and move speed by 20% for 5 seconds). Viability, Usage & Status: High Viability. Popular mid to late-game crit option. The added attack and move speed has strong appeal, especially for Hunters that have built limited attack speed items, don't have steroids in their kit, or have no escape abilities. Typically built late-game after other crit items have been built to help keep the passive refreshed. So the question is, with the higher damage potential of a crit build, when would one choose Qin's Sais, and when are crit builds better? And how can we utilize our knowledge about attack progression to improve our build choices? Mid-Game Power Spike: Because of the cost of crit items, they're typically built later in the game. Qin's Sais, though, provides a significant damage spike by itself, and thus can often be built in the mid-game. This provides a potential advantage during this phase of the game. Anti-Tank: Against tankier enemy compositions (those that have higher protections + health), Qin's Sais' passive is increasingly effective against higher-health enemies. Build Flexibility: Since Qin's Sais is effective while only taking up one item slot, it allows for at least one additional item slot for other utility. This can be anything from a defensive item for greater survivability (e.g. Magi's Cloak), to additional power / pen / attack speed, to situational effects like Brawler's Beat Stick's anti-heal. Consistent Damage w/ No AS Steroids: One thing that works in a god's favor in choosing Qin's is when they have no attack speed steroids. Building high base attack speed when the god has a steroid introduces the possibility of inefficiency due to overcapping the AS while the steroid is active (e.g. Artemis' Vengeful Assault). With no AS steroids, it allows you to build toward the cap (2.5 AS) without having to worry about that efficiency. And Qin's LOVES AS. It's a match made in heaven. Hou Yi and Geb have kits that protect them somewhat from consecutive crits. Hide of the Nemean Lion reflects total damage including amplified damage from crits. Shield of Thorns is a relic that offers higher damage reflection for a short time compared to Nemean Lion, and can be used as a strong counter to high DPS or to make you a less appealing target. Spectral Armor is a specific counter to critical damage, reducing the bonus damage by 40%. If the majority of the team is building tanky, Qin's Sais will likely see more benefit. Quick Attack Progression: Qin's is a great choice for gods with no progression, and also for gods with quick attack progression. All hunters have no attack progression...meaning that they shoot each attack at the same consistent speed. The build strategy for these gods, when looking to maximize their DPS, is to achieve a very high base AS, so the Qin's passive damage proc is applied as often as possible. Some Assassins and Warriors have attack strings where they attack more quickly for the first hit or two (or even more, like Erlang Shen). Remember, the passive damage boost from Qin's applies to EACH HIT...so the more attacks that land, the more effect and damage you'll output via the passive. Burst Damage Potential: Although crit builds rely on RNG (random number generator, meaning a randomized chance), these builds have the potential for incredible bursts of damage. These bursts, when applied to squishy, low-health gods, can mean quick deaths for your enemies. Crits Work On Minions: One big but often overlooked advantage crits have over Qin's is that the bonus damage effect works on minions. This can mean significantly quicker clear, and also works synergistically with lifesteal effects...meaning you can clear quickly AND get your health back up more quickly. Great with God AS Steroid Abilities: The best crit builds incorporate high power and high pen in combination with the 2 or 3 crit items you purchase. Why? Crit bonus damage scales directly with power. Attack speed is an appreciated stat (more hits = more chances to crit), but unlike Qin's Sais builds, crit builds aren't dependent on high base AS to be effective. In this, crit builds work incredibly well for gods that gain AS within their kit, as it allows them to have good AS while focusing an enemy, while not having to dedicate space for multiple items specifically with that stat. Why Not Qin's AND Crits??? Finally, one other question: "Why not Qin's AND crits?!?" Well, sure, the combo can absolutely provide some great DPS. However, understand that the passive damage from Qin's isn't synergistic with crits (crits don't enhance Qin's passive damage). In an optimal situation, you might choose to pick up Qin's for a good power spike and enhanced effectiveness against tanks. If you've already picked up The Executioner beforehand, crits can be built afterwards, if you're steamrolling the competition...but building 3 items that are all 2,600 and up (e.g. Qin's Sais at 2,700, Wind Demon at 2,600, and Deathbringer at 3,000) can take a lot of time unless you're fed. Let's say that you plan to build Qin's and crit, but you find yourself on your heels, being pushed back (your team is losing). In this case, that same build might really put you behind, so Qin's Sais is still a good idea, but you may want to counter-build or make sure your DPS doesn't fall way too far behind. That might involve a temporary or permanent move away from crit items...at that point, split-pushing or otherwise focusing on objective takedown might be more to your team's advantage. Instead of the crit items, you might choose Titan's Bane and Odysseus' Bow. If you get to the late game and have spare money, you can eventually convert back over to crit, if you want. Of course, this is only a very basic example...I'm not getting into Transcendence starts, etc. This might be a more common approach. In this case, the first 5 main items all provide necessary / core stats, with the 6th item being flexible. Qin's is an okay add-on especially late-game, though other options exist that are also effective. Here are some references you might find helpful. EliteOwnage's Smite Builder: You can see full calculations for builds at different levels, and experiment with head-to-heads to see how your build will fare against different enemies and builds. The Word of Thoth: A Smite Mechanics Guide: Provides in-depth explanations about how everything is calculated in SMITE, including damage, protection, etc. Team Dignitas' Guide to Attack Speed And Building On Hunters: fairly short and sweet article discussing optimizing damage by appropriately balancing attack speed and power items. If you liked this guide, check out my other ones below! So that's it. Let me know if you think I've missed a major topic, provided some incorrect information, or anything else that comes to mind. Hope this helps your understanding of items! 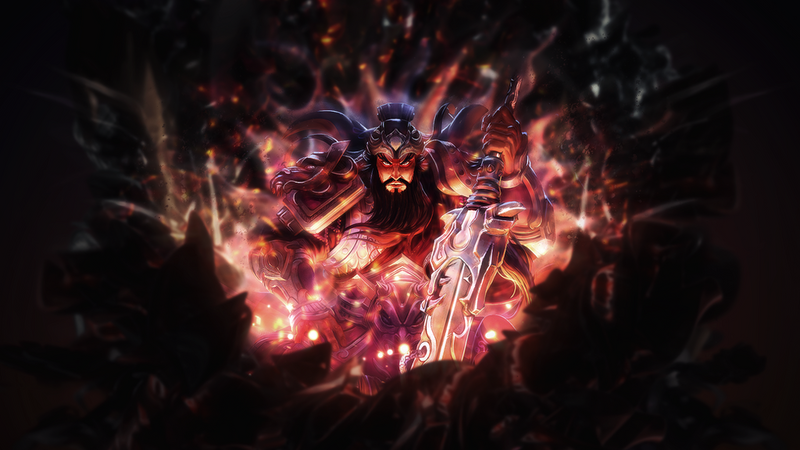 Special thanks to KingScuba of the official Smite forums for feedback, suggestions, and reference material. I know nobody cares about Rangda's Mask, however the stats are not updated on your guide, just advising. 138359 xmysterionz Hey Bran, I know nobody cares about [[Rangda's Mask]], however the stats are not updated on your guide, just advising. Thanks for catching that, myst. Fixed. 138380 Branmuffin17 Thanks for catching that, myst. Fixed. Can someone remind me aboout the "golden rule" for support builds? Is it 200 protections and 3k health? 138356 Vini_sds Can someone remind me aboout the "golden rule" for support builds? Is it 200 protections and 3k health? Gulf, being helpful as always. Protections: variable depending on comp, but in the range of 150-200. Remember protections are ignored by true damage, and get really chunked by Titan's Bane, The Executioner, Obsidian Shard, and Demonic Grip. Health: getting around 3,000 is a good value. A couple hundred less or a few hundred more isn't bad, if the items fit the situation. Remember health is adversely affected by items like Qin's Sais, Ethereal Staff, and Soul Reaver, but remains effective against true damage. Mitigations: separate from protections, this allows you to not overdo protections (since there is a factor of decreasing effectiveness the higher protections go, re: that protections graph I've posted before). Oni Hunter's Garb or Spirit Robe are good adds. Not absolutely required, especially considering god kit (e.g. Bacchus' Drunk-O-Meter), but mitigations are effective against ALL incoming damage. Issue is its limitations. It's the most powerful tank stat, but Oni's requires multiple close enemies, and Spirit requires you to be hit by hard CC. Suggestion, check my Conquest guide, and look at starting sections under each class. Covers hunter builds in full, including Trans T2 and Devo's starts (with Hunter's Blessing of course). Hel mid-lane is also covered in general with Mage's Blessing + Thoth T1, along with Thoth rush (T2 start). 136763 Branmuffin17 Suggestion, check [url=https://www.smitefire.com/smite/guide/the-overarching-conquest-guide-12069]my Conquest guide[/url], and look at starting sections under each class. Covers hunter builds in full, including Trans T2 and Devo's starts (with [[Hunter's Blessing]] of course). [[Hel]] mid-lane is also covered in general with [[Mage's Blessing]] + Thoth T1, along with Thoth rush (T2 start). Does that work for you? FYI, items are updated as of what currently reads for Patch 6.1. Additionally, I've revamped the damage spike chapter to include more detailed discussion on basic attack mechanics and attack progression, and fit it better into the discussion for using crits and Qin's. Would appreciate feedback. 136569 Branmuffin17 FYI, items are updated as of what currently reads for Patch 6.1. Additionally, I've revamped the damage spike chapter to include more detailed discussion on basic attack mechanics and attack progression, and fit it better into the discussion for using crits and Qin's. Would appreciate feedback. Pen is an important offensive stat for any full offense God. Scylla is no exception. Yes, she can almost one shot a squishy God, but what happens when your ult is down? Do you choose not to fight? I'm not sure I get your point. 133798 Branmuffin17 Pen is an important offensive stat for any full offense God. Scylla is no exception. Yes, she can almost one shot a squishy God, but what happens when your ult is down? Do you choose not to fight? I'm not sure I get your point. I think Chach's point was that Scylla's combo can pretty much one-shot any squishy. But, as you pointed out, Bran, she can't always do that, so that extra pen does come in handy. 133802 Gulfwulf I think Chach's point was that Scylla's combo can pretty much one-shot any squishy. But, as you pointed out, Bran, she can't always do that, so that extra pen does come in handy. I think one of her skills had protection reduction (can't remember which one though). Tank compositions are a thing. You won't necessarily always be fighting squishies like you would in arena (no one plays tank in arena). 133790 boogiebass I think one of her skills had protection reduction (can't remember which one though). Tank compositions are a thing. You won't necessarily always be fighting squishies like you would in arena (no one plays tank in arena). Most people don't play tanks, but they do show up more frequently than you may think. 133797 Gulfwulf [quote=boogiebass]I think one of her skills had protection reduction (can't remember which one though). [/quote] [[Crush]]. [quote]Tank compositions are a thing. You won't necessarily always be fighting squishies like you would in arena (no one plays tank in arena). [/quote] Most people don't play tanks, but they do show up more frequently than you may think. Not in my games they don't. 133801 boogiebass Not in my games they don't. Wait...your Arena ELO is over 2k and people don't routinely play tanks in your games? Dude, what's up with those people? 133803 Gulfwulf You're playing with the wrong people then. :P Wait...your Arena ELO is over 2k and people don't routinely play tanks in your games? Dude, what's up with those people? Smiteguru Elo is not accurate. 133805 Kriega1 Smiteguru Elo is not accurate. Translation: I can't believe someone like you has an ELO like that. 133808 boogiebass Translation: I can't believe someone like you has an ELO like that. No, I’m being serious. Smiteguru Elo is not accurate for any gamemode so I wouldn’t use it as a measure for anything. I only use ranked division. 133810 Kriega1 No, I’m being serious. Smiteguru Elo is not accurate for any gamemode so I wouldn’t use it as a measure for anything. I only use ranked division. Even ranked division still questionable, 'cause, unless you play duel, or a full party joust you can get some idiots that lower your rank. 133811 xmysterionz Even ranked division still questionable, 'cause, unless you play duel, or a full party joust you can get some idiots that lower your rank. Yes, but ranked division is true, while Elo is not true and not the same version used in Smite matchmaking. 133814 Kriega1 Yes, but ranked division is true, while Elo is not true and not the same version used in Smite matchmaking. Consider it this way. Smite.guru Elo is basically an indication of trends, and there are a lot of variables that can influence said trends... How often you group, what that group quality is, etc. Ranking is where you actually are, based on actual match outcomes within that specific system. It's not that HR's MMR is a perfect system, and matchmaking remains an issue, though. 133815 Branmuffin17 Consider it this way. Smite.guru Elo is basically an indication of trends, and there are a lot of variables that can influence said trends... How often you group, what that group quality is, etc. Ranking is where you actually are, based on actual match outcomes within that specific system. It's not that HR's MMR is a perfect system, and matchmaking remains an issue, though. Smiteguru Elo is not an indication of anything except pure guesswork as it’s inaccurate. 133816 Kriega1 Smiteguru Elo is not an indication of anything except pure guesswork as it’s inaccurate. Yes sir. Sorry to not have fully agreed with you, sir. It won't happen again. 133817 Branmuffin17 Yes sir. Sorry to not have fully agreed with you, sir. It won't happen again. 133821 Gulfwulf The beatings will continue until morale improves. That's because you don't get paired up with idiots. 133809 Gulfwulf That's because you don't get paired up with idiots. Welcome to my world. Wait, is an ELO over 2k good? 133804 boogiebass Welcome to my world. Wait, is an ELO over 2k good? That protection reduction is very, very situational. She still wants more pen. 133799 Branmuffin17 That protection reduction is very, very situational. She still wants more pen. 132863 Noragepls Stacked Protection Reduction can be CC cleansed (e.g. Purification, Hel's Cleanse, Chang'e's Moonlit Waltz, etc. ), and would have to be reapplied. This no work? No. I've tested this before. Protextion reduction can not be cleansed. 132864 boogiebass No. I've tested this before. Protextion reduction can not be cleansed. Protection reduction is not CC. 132866 Branmuffin17 Protection reduction is not CC. Besides Ancile, Shogun's Kusari, Runic Shield, and Masamune/ Shifter's Shield, what are the beat hybrid items against a mostly magical enemy comp? Items MUST have some sort of defense/offense hybrid functionality. Shogun kusari was listed due to very large attack speed boost. 132281 boogiebass @Bran/gulf/dv8/tlaloc: Besides [[ancile]], [[shogun's kusari]], [[runic shield]], and [[masamune]]/[[shifter's shield]], what are the beat hybrid items against a mostly magical enemy comp? Items MUST have some sort of defense/offense hybrid functionality. Shogun kusari was listed due to very large attack speed boost. You pretty much covered them all. Unless you are a magical god going against magical enemies, then you should include items like Stone of Fal, Void Stone, and perhaps Stone of Binding. 132283 DV-8 You pretty much covered them all. Unless you are a magical god going against magical enemies, then you should include items like [[Stone of Fal]], [[Void Stone]], and perhaps [[Stone of Binding]]. I can see binding, but fal? Is that still any good? 10% DR doesn't seem like a whole lot because you can still get bursted down by a single ability. 132287 Gulfwulf I can see binding, but fal? Is that still any good? 10% DR doesn't seem like a whole lot because you can still get bursted down by a single ability. Screw Fal. I don't like it. 132288 Branmuffin17 Screw Fal. I don't like it. Top notch explanation there, Bran. +1. 132323 Gulfwulf Top notch explanation there, Bran. +1. Sorry. I should have implied it was for physical gods. So pick the 2 most useful items on that list. I know it depends on team comps, but let's assume for general purpose. I'd agree. My answer would be Ancile and Shifter's Shield. 132286 DV-8 I'd agree. My answer would be [[Ancile]] and [[Shifter's Shield]]. I know you need 5 enemy gods to fully stack masamune, but do you think the +100 health and utility/ movement speed from masamune generally make it a better alternative to shifter's shield? Lets not assume we are jungling. Again let's assume General purpose. 132289 boogiebass I know you need 5 enemy gods to fully stack masamune, but do you think the +100 health and utility/ movement speed from masamune generally make it a better alternative to shifter's shield? Lets not assume we are jungling. Again let's assume General purpose. MS is nice depending on what other items you're getting, and if you already got MS from something other than just base Boots. But since we're making many generalized assumptions, then how about you can assume that Masa is generally an optional, functional choice that has more reliable/steady power contribution and that added MS over Shifter's...if that's what you prefer. It's like you want a black and white answer...but dude, both are fine situationally with regard to what you prefer at that time. 132292 Branmuffin17 MS is nice depending on what other items you're getting, and if you already got MS from something other than just base Boots. But since we're making many generalized assumptions, then how about you can assume that Masa is generally an optional, functional choice that has more reliable/steady power contribution and that added MS over Shifter's...if that's what you prefer. It's like you want a black and white answer...but dude, both are fine situationally with regard to what you prefer at that time. Please work on your public speaking. Thanks Bran! This part of the feedback was much appreciated! But since we're making many generalized assumptions, then how about you can assume that Masa is generally an optional, functional choice that has more reliable/steady power contribution and that added MS over Shifter's. No, wait... Yeah, shut up loser. 132299 Branmuffin17 [s]Shut up, loser. [/s] No, wait... Yeah, shut up loser. ouch... you're gonna need to gimme some ice for that burn. 132300 boogiebass ouch... you're gonna need to gimme some ice for that burn. I'm only trying to learn from the king of burn. 132301 Branmuffin17 I'm only trying to learn from the king of burn. So now I'm the king of crash and burn? 132302 boogiebass So now I'm the king of crash and burn? You're as subtle as the ganesha in the room. 132321 boogiebass You're as subtle as the ganesha in the room. It's crazy how much work you've put into this. Again, well done. I will try to do my part and help you out a bit, lol. Under the game mode section, Season 5 changes to Spectral Armor should be considered in the given example with Kali. Under the Warrior's Blessing section, there is an unintended gap in the paragraph structure. Under magical movement speed items, Hastened Ring is displayed twice in the presentation banner art. Hastened Ring cooldown listed as 30 seconds. Should be 25. BB-coding error concerning Soul Reaver under the Shaman's Ring description. Shows stacked version of Book of Thoth providing the same amount of power as the unstacked version. Is this intended? Under Book of Thoth description, possible unintended parenthesis around "total 180-190 power". For Dynasty Plate Helm, in my opinion, this can also be built on magical junglers. Allows for solid early damage and boxing potential against physical enemy jungler. Could Reinforced Greaves and Reinforced Shoes be included here, or are shoes/boots not being included intentionally? Ancile, in my opinion, is also a viable option for solo lane warriors and the like (described under typical users). Runic Shield typical users described as "all physical gods". I don't think a Hunter should ever build this item. Perhaps only in extremely rare cases. Mark of the Vanguard is used as an example. I suggest changing to Warrior's Blessing. Suggestion: Could briefly mention True Damage and it's interactions with different mechanics. Under the god ability table, Nike's Rend is listed under %Protection Reduction, when it in fact provides flat penetration. Under Physical Penetration Items, there is no write-up for Heartseeker. The description for Toxic Blade details it as a "new item". Silverbranch Bow listed as providing 25% Attack Speed. Should be 35%. Soul Eater is listed under universal CDR items and is not included under Physical CDR items. Blackthorn Hammer is not listed under Physical CDR items. Transcendence is not included in the banner art for Physical CDR items. Death's Toll is listed in the banner art. 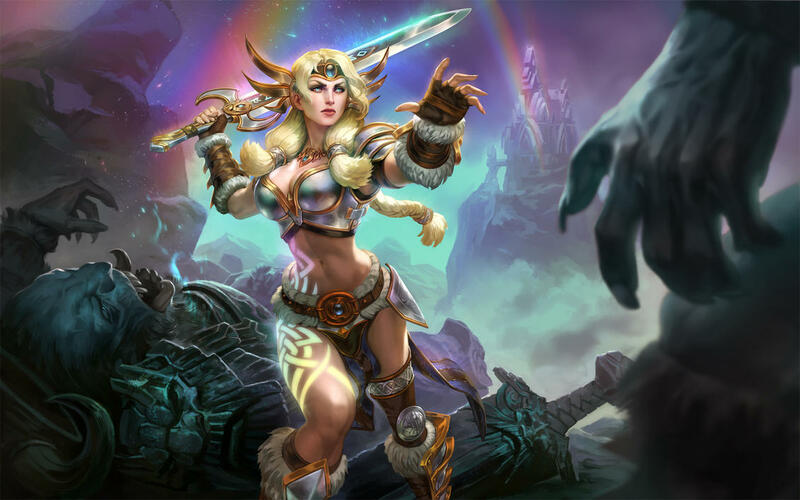 In descriptions of Deathbringer and Malice, examples are listed of gods who no longer contain crit in their kit (examples: Artemis and Hun Batz). For Wind Demon, you might also consider mentioning the considerable enhanced movement speed from the passive, as it is a pivotal part of the item. It is usually built as a 2nd/3rd crit item to keep its passive refreshed. LOL...we really should have renamed our clan SF Deathbringers. My god. Wow, thanks for catching all the different things...that's a lot of reviewing (and a lot of mistakes that have added up over the last year or two!). I just like Hastened Ring that much. I don't see where I stated 30 seconds though...everything I've checked already says 25. The Thoth stats were intentional, but due to mana contribution from current level and other items, I didn't know the best way to present it. That's why I put in notations. I'll use the base Thoth mana contribution though. Good call on Dynasty, Ancile, Runic. I left the Reinforced items out of the protections section...people should typically choose shoes as a core item, and there's a specific section just for those. Nike's Rend is protection shred...drops protections, rather than provides pen. But yeah, it's flat, not %. Thanks for spotting. OOPS. LOL completely forgot the writeup for HS. Implemented all changes, as far as I know. Thanks again for your efforts. 131977 Branmuffin17 LOL...we really should have renamed our clan SF Deathbringers. My god. Wow, thanks for catching all the different things...that's a lot of reviewing (and a lot of mistakes that have added up over the last year or two!). (Also, I just finished the physical protections and separated those with dual protections...) [list][*]I just like [[Hastened Ring]] that much. I don't see where I stated 30 seconds though...everything I've checked already says 25. [*]The Thoth stats were intentional, but due to mana contribution from current level and other items, I didn't know the best way to present it. That's why I put in notations. I'll use the base Thoth mana contribution though. [*]Good call on Dynasty, Ancile, Runic. [*]I left the Reinforced items out of the protections section...people should typically choose shoes as a core item, and there's a specific section just for those. [*][[Nike]]'s [[Rend]] is protection shred...drops protections, rather than provides pen. But yeah, it's flat, not %. Thanks for spotting. [*]OOPS. LOL completely forgot the writeup for HS. [/list] Implemented all changes, as far as I know. Thanks again for your efforts. No problem. I just wish I would have found this guide when I was a fresh n00b. Even so, it has still helped me. Just doing what I can to give back. I don't see where I stated 30 seconds though...everything I've checked already says 25. It's not a huge deal. It's in the discussion portion. This item grants 4 seconds of high mobility for boxing when basic attacking, before requiring a 30 second CD to become available again. Can see some good effect for some magical gods such as Chronos, Poseidon, Sol, and Freya. 131981 Branmuffin17 Gah...missed that part. Physical protections items are bugged, aren't they? 131946 xmysterionz Physical protections items are bugged, aren't they? Hi Myst, per my comment below, I stated only magical was complete. I'm looking for feedback on presentation. 131950 Branmuffin17 Hi Myst, per my comment below, I stated only magical was complete. I'm looking for feedback on presentation. It looked awesome to me. 131955 xmysterionz It looked awesome to me. It looked good to me, Bran. 131952 Gulfwulf It looked good to me, Bran. I know it's not needed for everyone, but what about a section for anti-heal? I've been noticing more and more that a lot of people don't build anti-heal when they should and even I still forget about it sometime. 131935 SkyPirateShini I know it's not needed for everyone, but what about a section for anti-heal? I've been noticing more and more that a lot of people don't build anti-heal when they should and even I still forget about it sometime. You build anti heals to counter notable lifesteal ( Anubis with bancroft for example) or healing ( Aphrodite, Hel, Chang'e...). In my opinion it's simple, it doesn't need an in-depth discussion. 131947 xmysterionz [[Divine Ruin]] and [[Brawler's beat stick]] used by damage ability characters [[Toxic blade]] used by basic attackers characters [[Pestilence]] used by tanks You build anti heals to counter notable lifesteal ([[anubis]] with bancroft for example) or healing ([[aphrodite]], [[hel]], [[chang'e]]...). In my opinion it's simple, it doesn't need an in-depth discussion. That's a good summary. Agreed here. One option would be to make a counter items chapter, but that's mostly duplicating work ive already stated elsewhere in the guide. 131949 Branmuffin17 That's a good summary. Agreed here. One option would be to make a counter items chapter, but that's mostly duplicating work ive already stated elsewhere in the guide. Both of you guys are right. It's not a hard thing to remember or think about but it gets tiring when you see teams with two or more gods you should build anti-heal against and at least one Meditation and I'm only the only one building anti-heal. 131953 SkyPirateShini Both of you guys are right. It's not a hard thing to remember or think about but it gets tiring when you see teams with two or more gods you should build anti-heal against and at least one Meditation and I'm only the only one building anti-heal. I doubt this, or any other guide, would rectify that situation, Shini. The best you can do is to ask your teammates to build anti-heal. 131956 Gulfwulf I doubt this, or any other guide, would rectify that situation, Shini. The best you can do is to ask your teammates to build anti-heal. Alright...so I've added 2 chapters. Bridge items, and a protections chapter. Looking for feedback on both. In the protections chapter, I'm using a different format because there are too many items overall. I've only completed the magical protections section, and am looking for feedback on the presentation style. NOTE: I want to keep it simple. Just a quick reference. I don't want to code and write forever. If you think this works, great. If not, suggestions are appreciated. 131933 Branmuffin17 Alright...so I've added 2 chapters. Bridge items, and a protections chapter. Looking for feedback on both. In the protections chapter, I'm using a different format because there are too many items overall. I've only completed the magical protections section, and am looking for feedback on the presentation style. NOTE: I want to keep it simple. Just a quick reference. I don't want to code and write forever. If you think this works, great. If not, suggestions are appreciated. In the mages section of your "CDR: Item Combos and the Need (?) to Max" section, you list Sands of Time instead of Mage's Blessing/ Specialist's Blessing. 131836 Gulfwulf Hey Bran, In the mages section of your "CDR: Item Combos and the Need (?) to Max" section, you list [[sands of time]] instead of [[mage's blessing]]/[[specialist's blessing]]. The comment was made at the beginning of S5...so I was referencing the previous item Sands that also provided 10% CDR. We're far enough away from S4 that I should get rid of that reference. 131838 Branmuffin17 The comment was made at the beginning of S5...so I was referencing the previous item Sands that also provided 10% CDR. We're far enough away from S4 that I should get rid of that reference. Thanks for pointing it out.